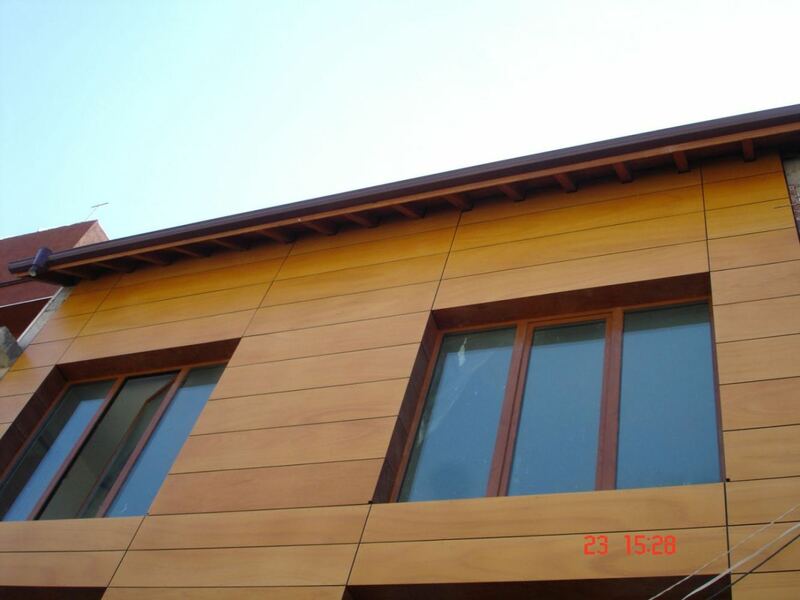 wood panels and the corresponding substructure. 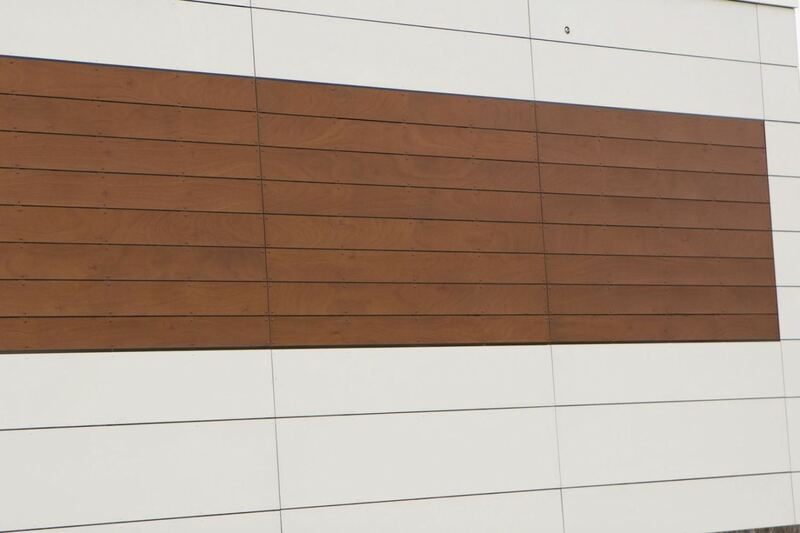 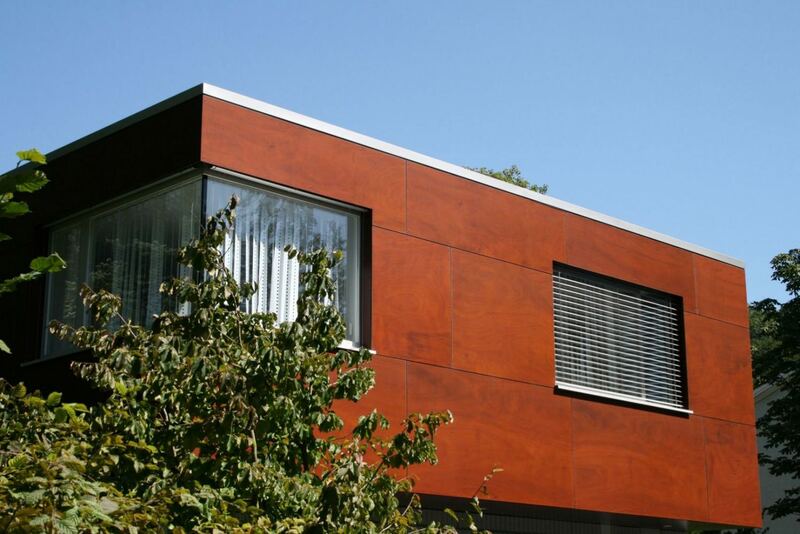 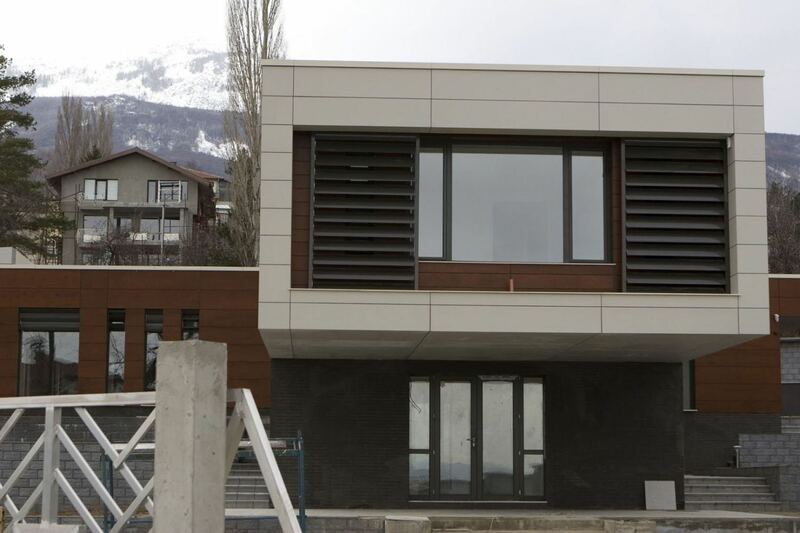 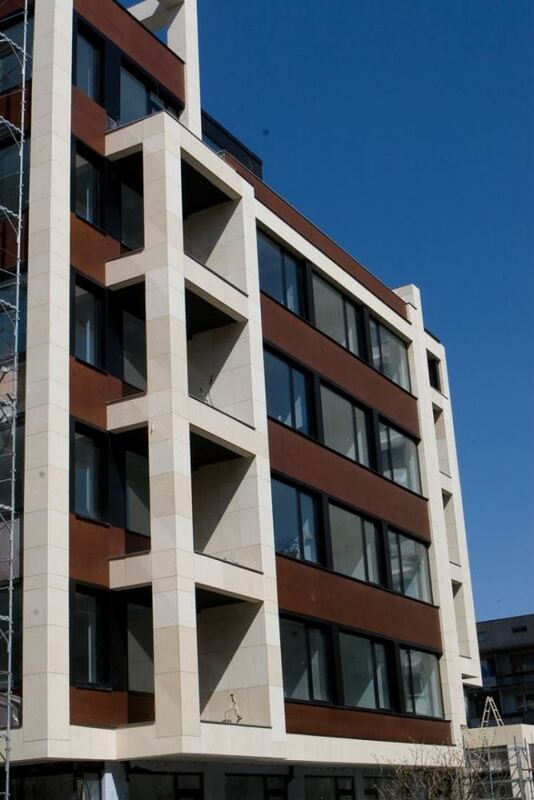 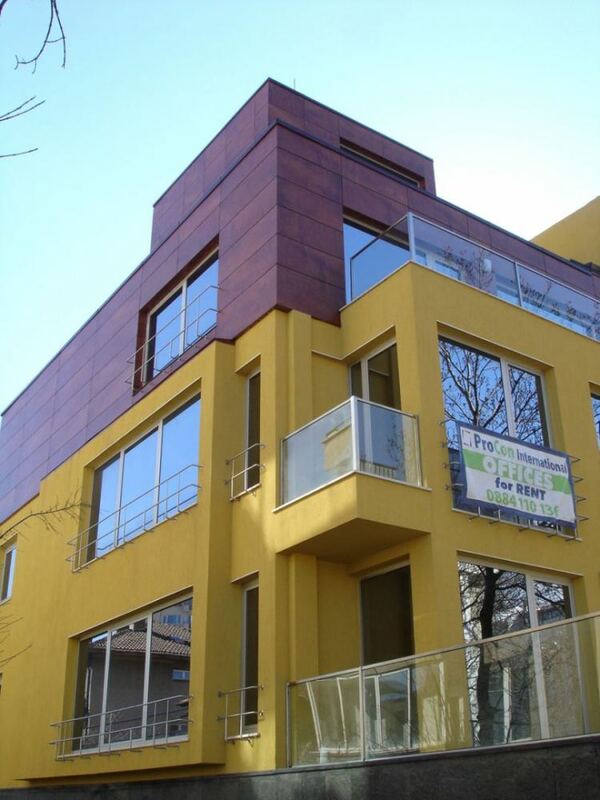 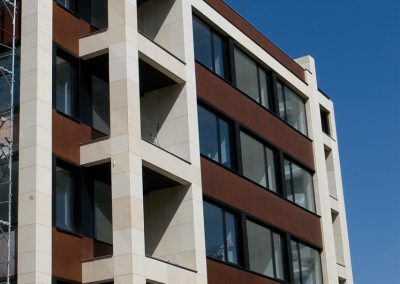 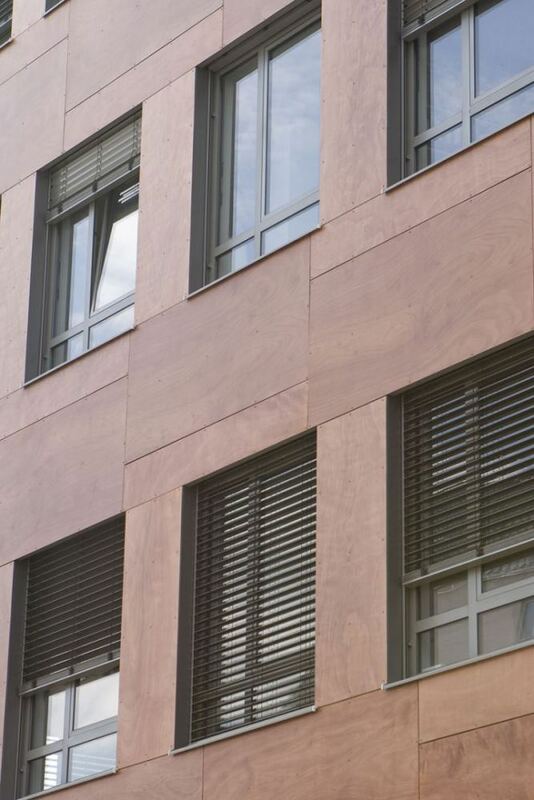 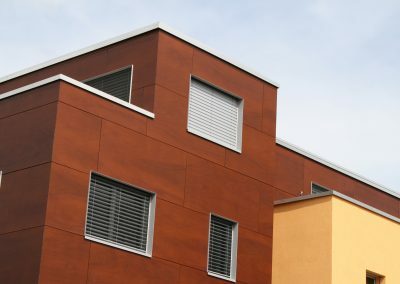 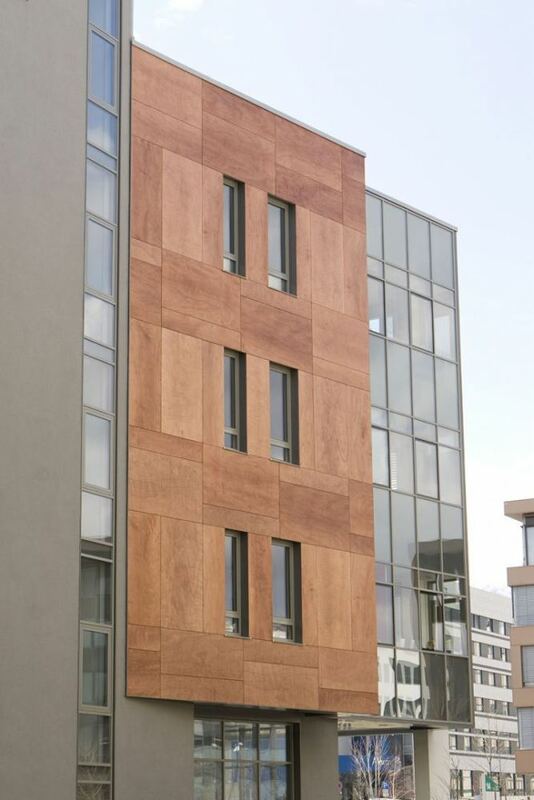 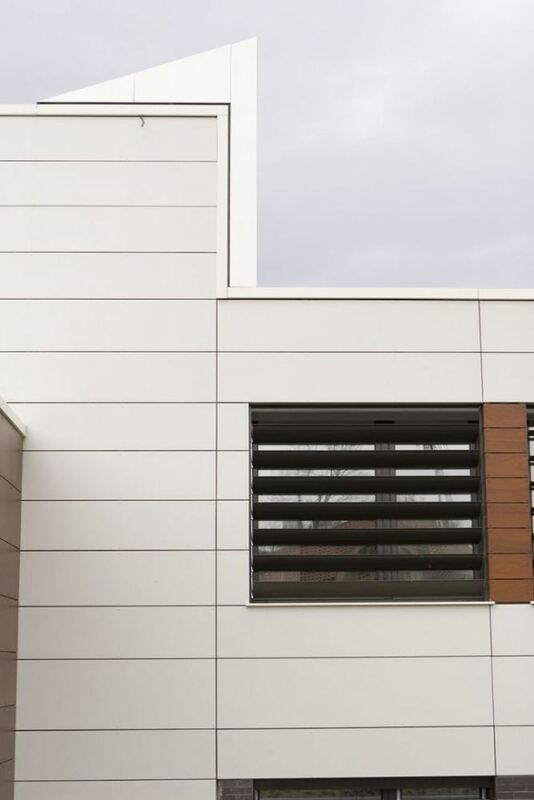 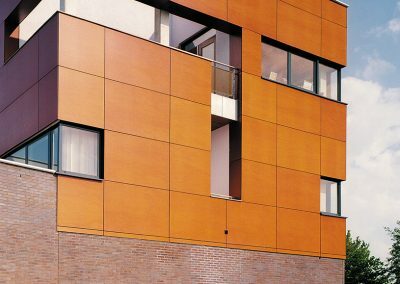 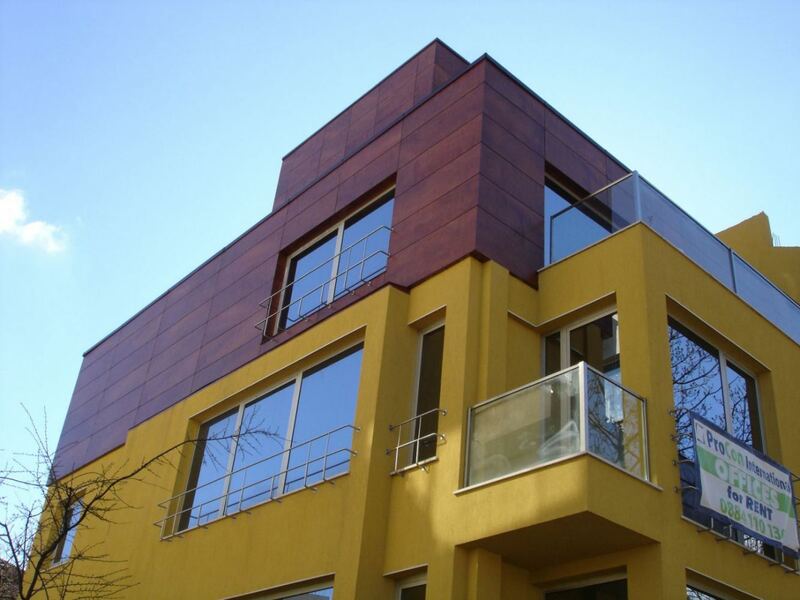 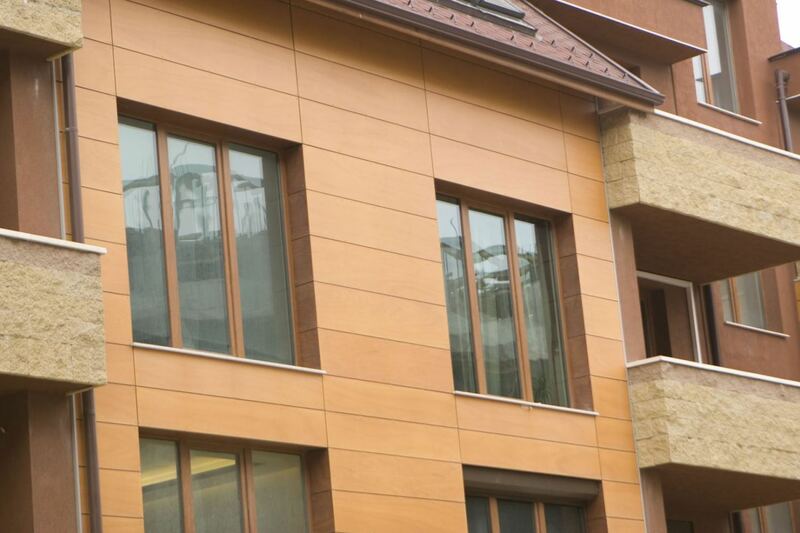 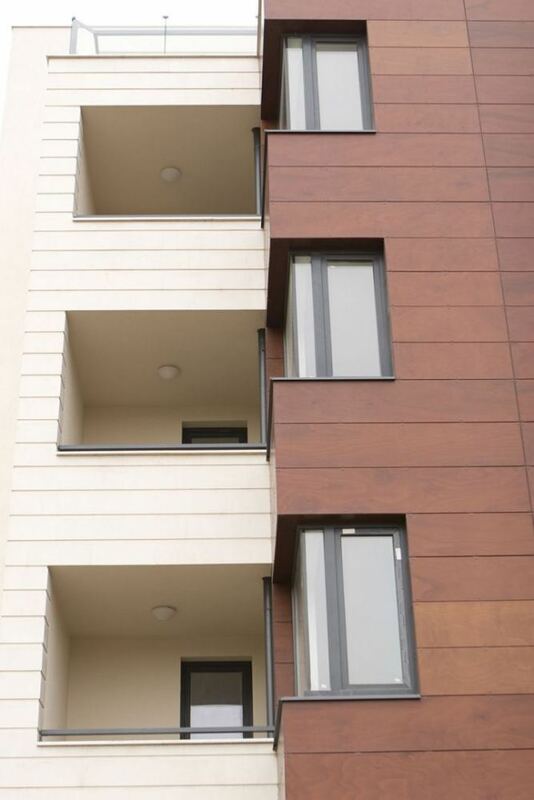 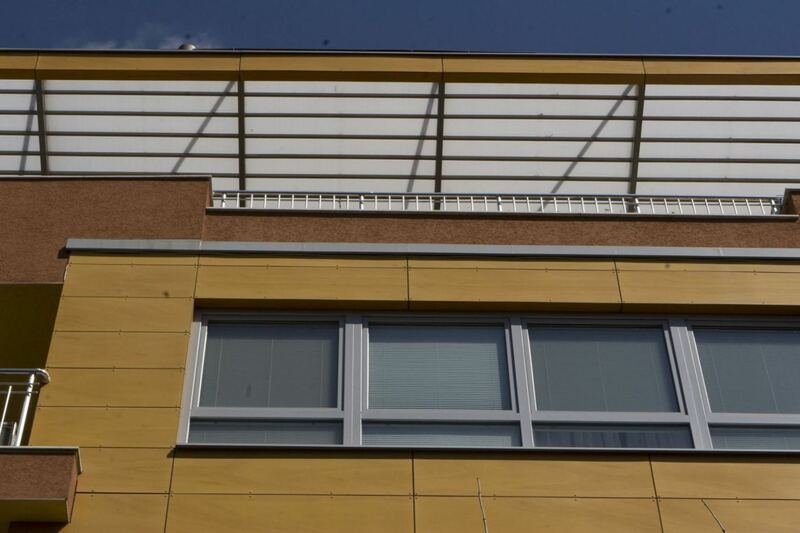 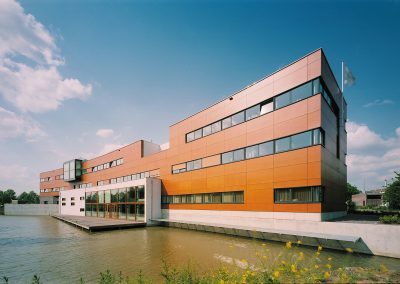 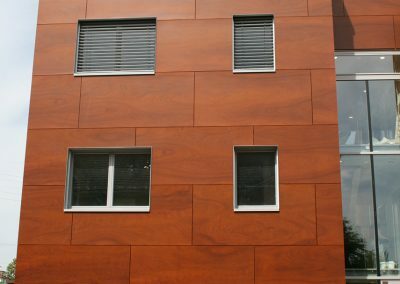 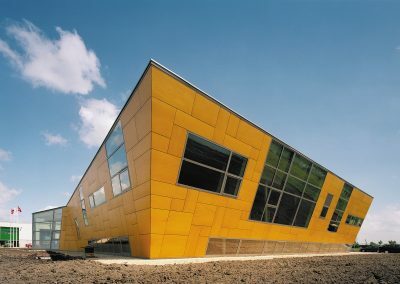 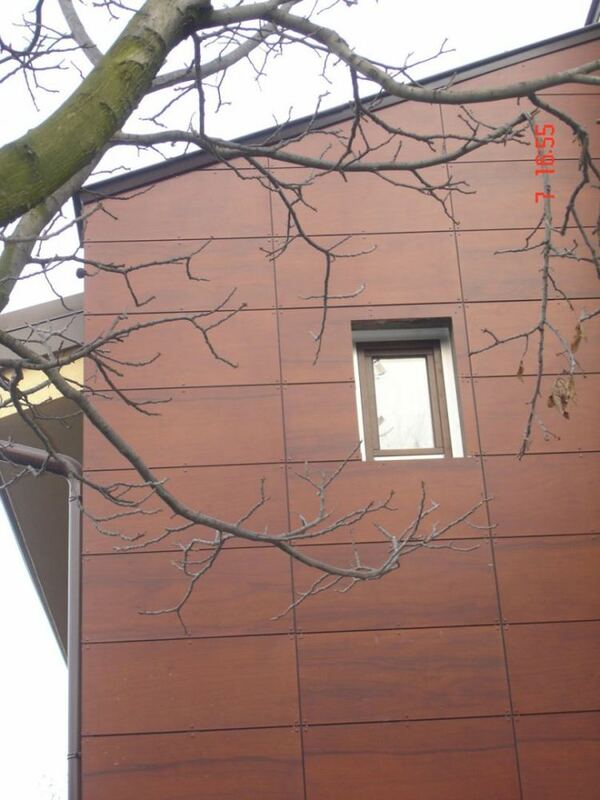 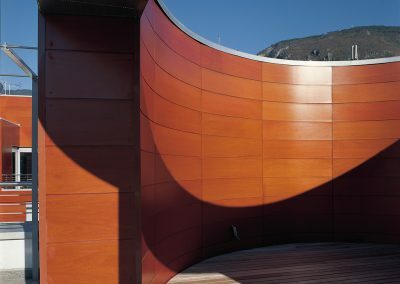 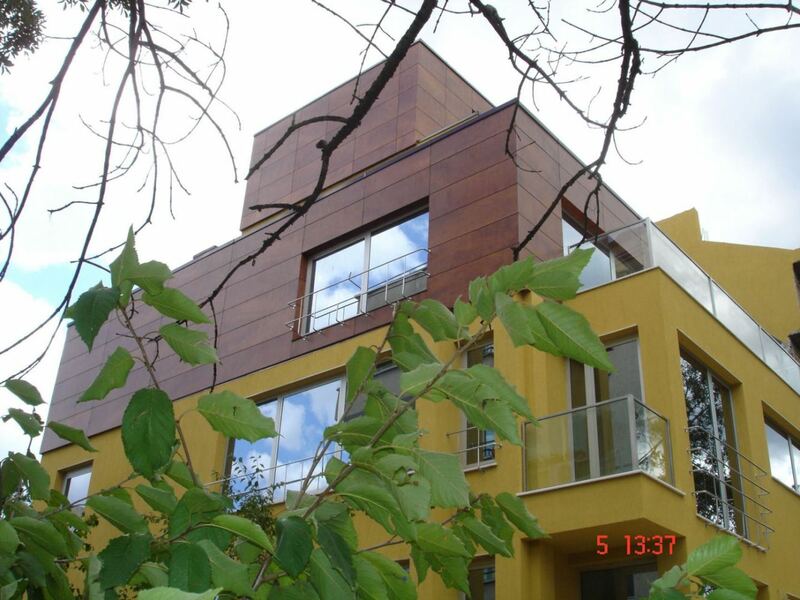 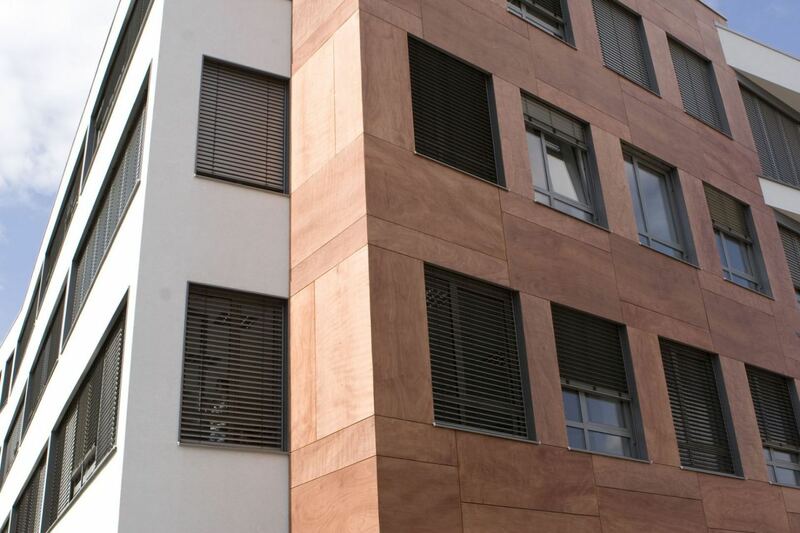 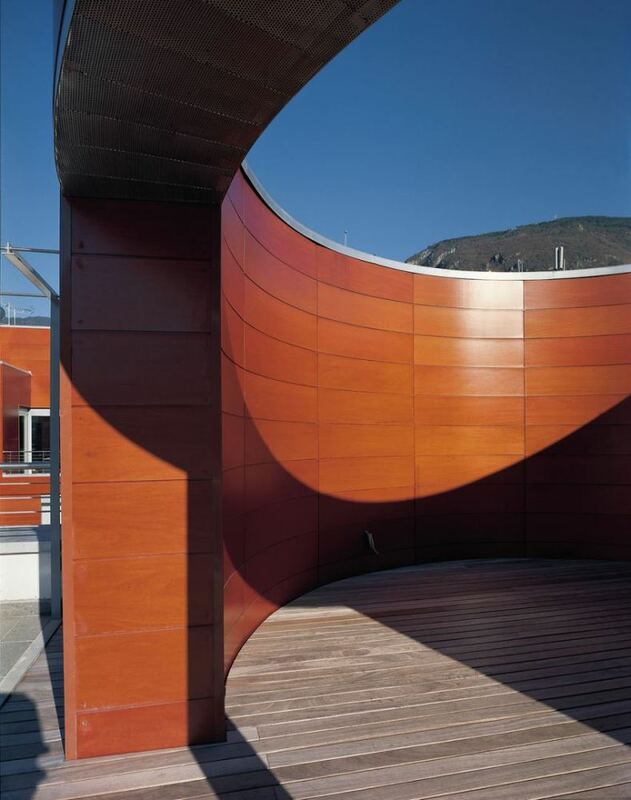 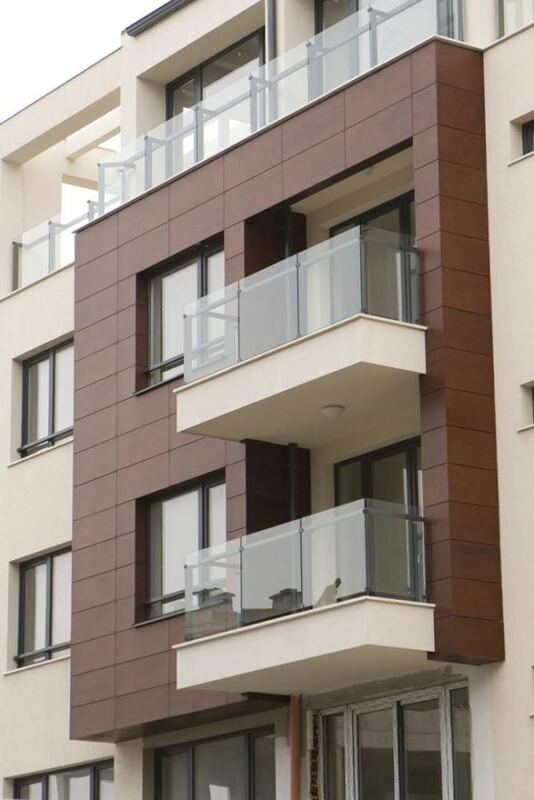 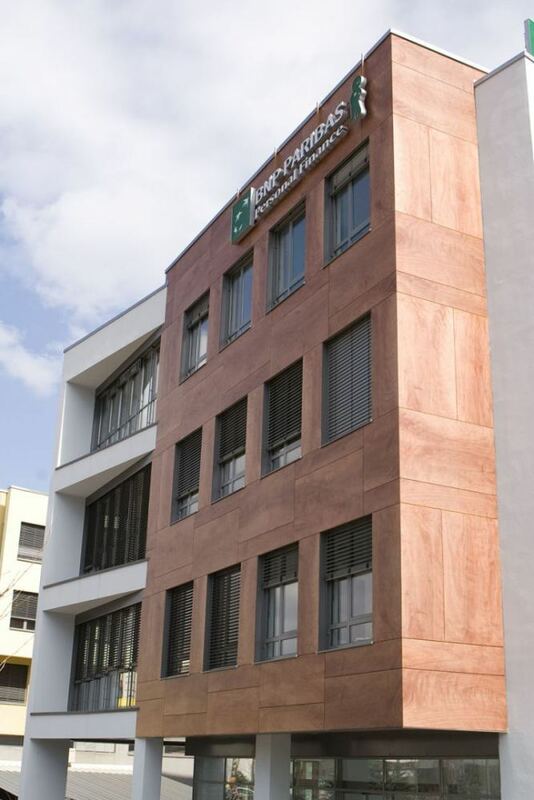 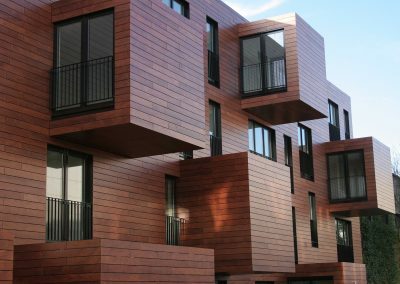 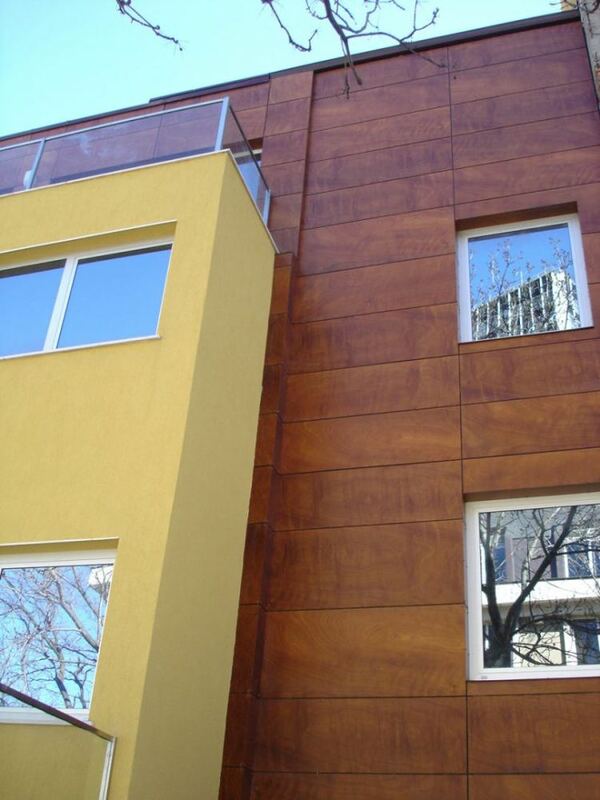 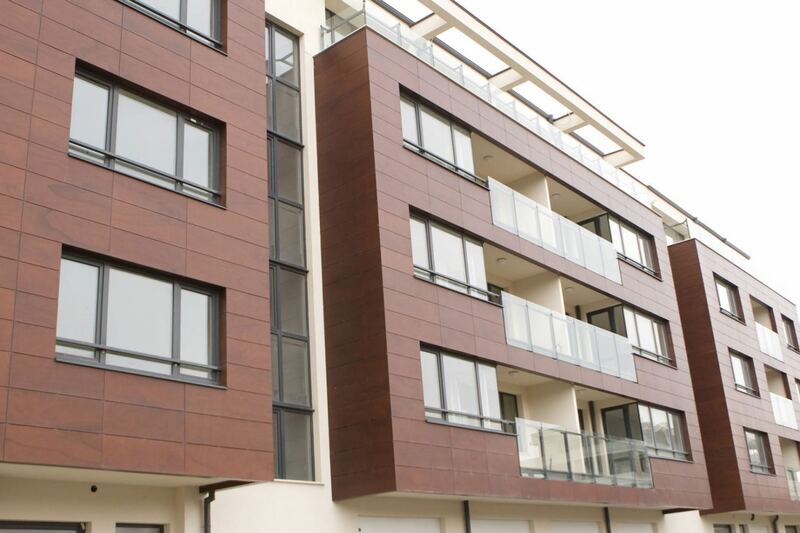 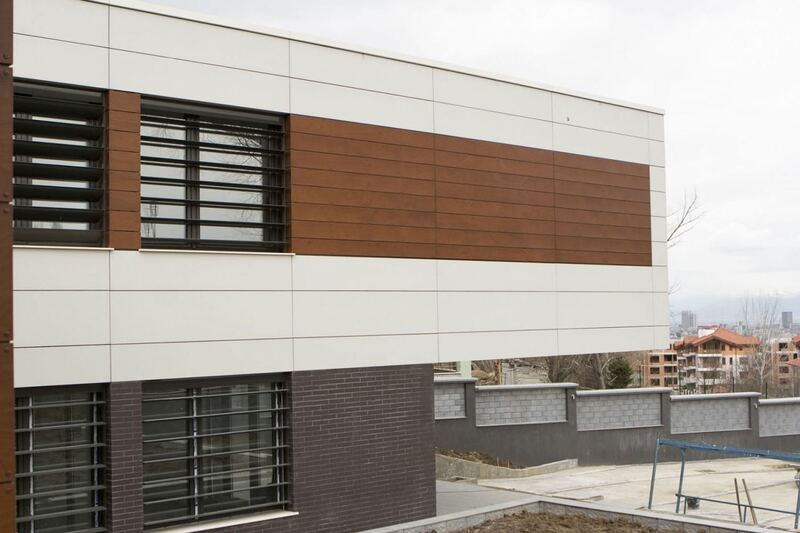 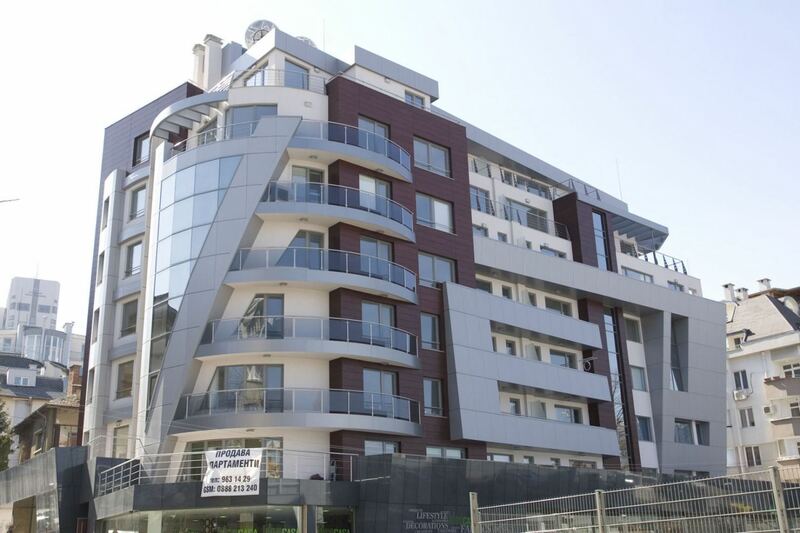 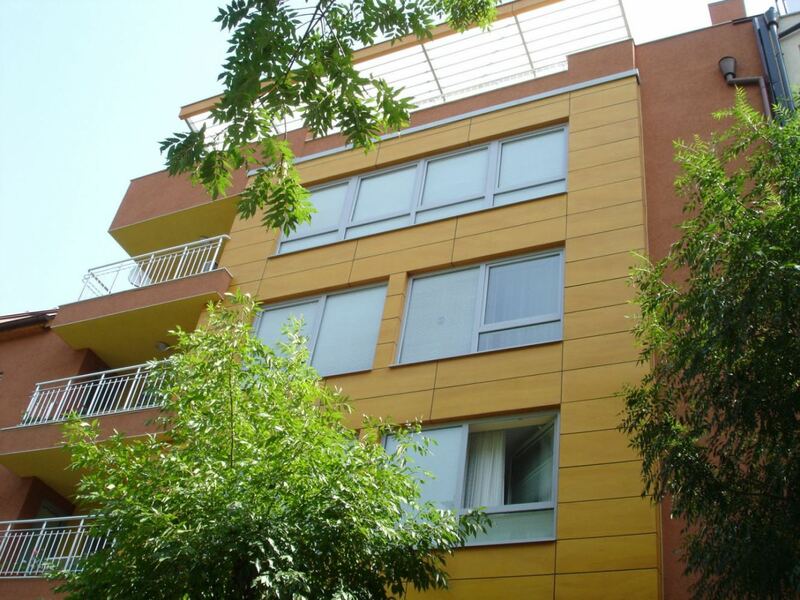 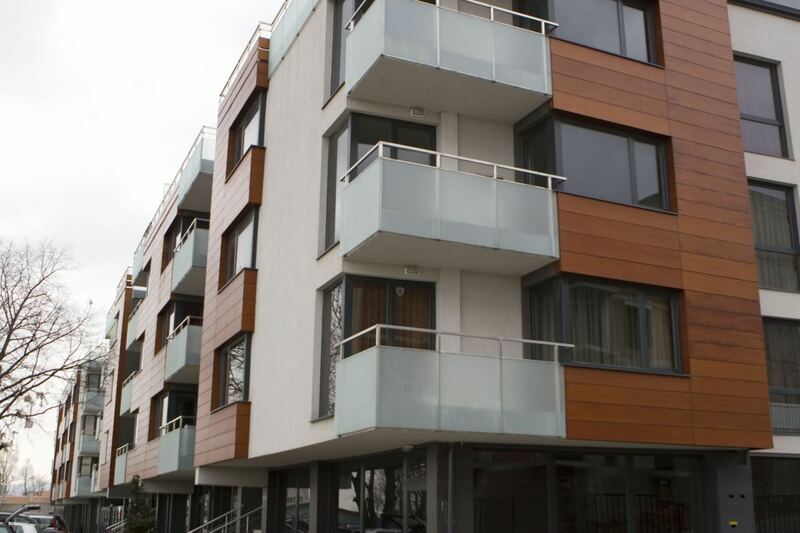 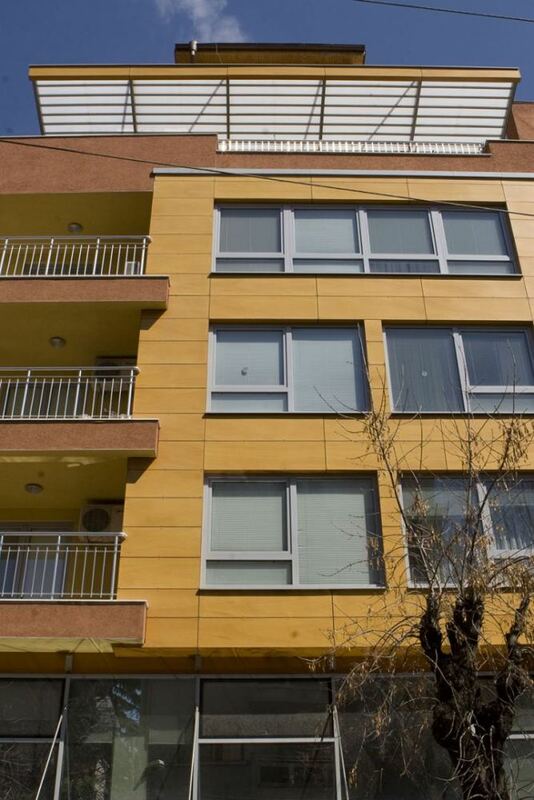 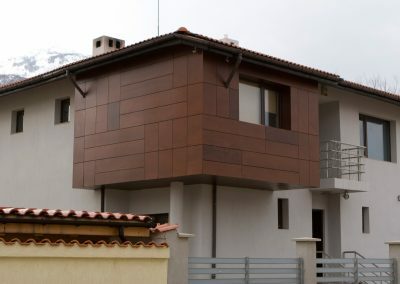 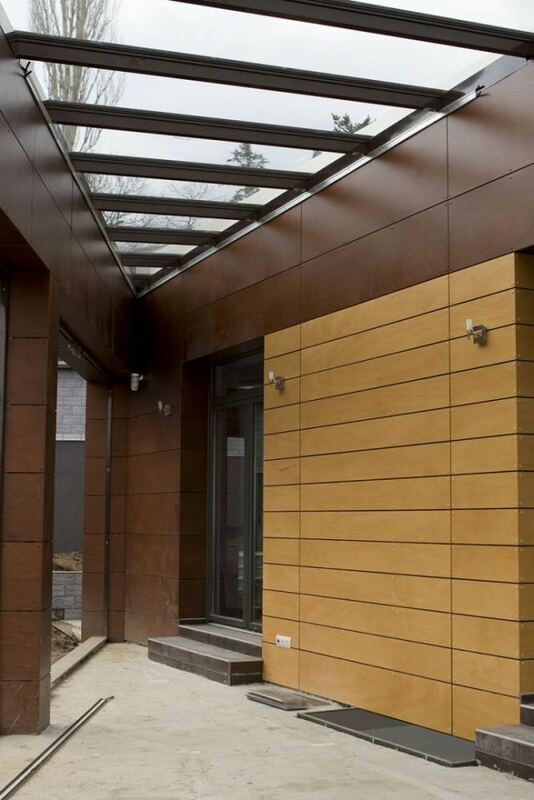 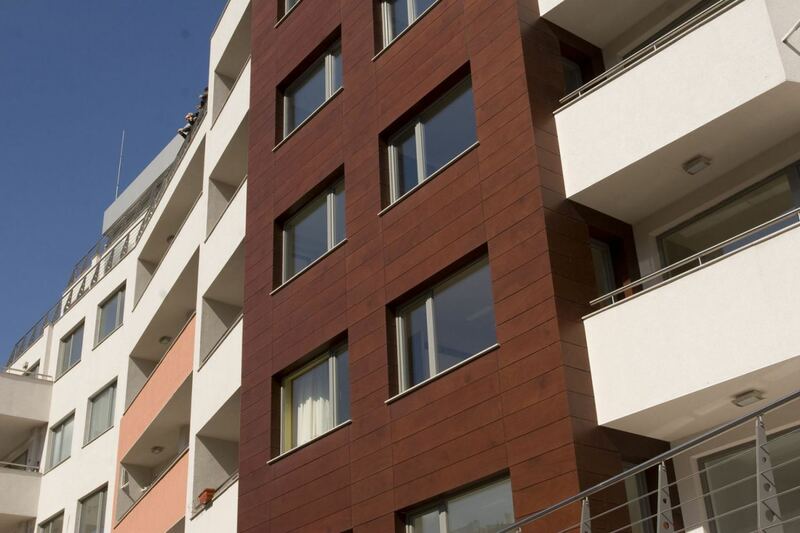 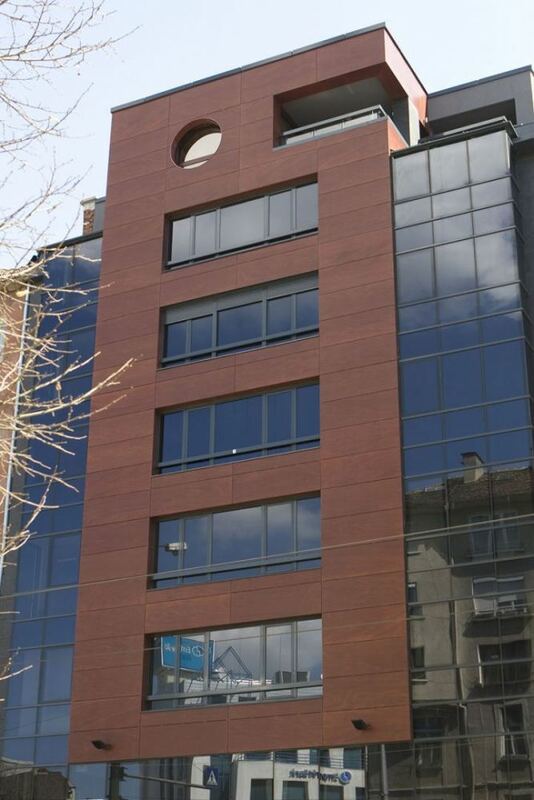 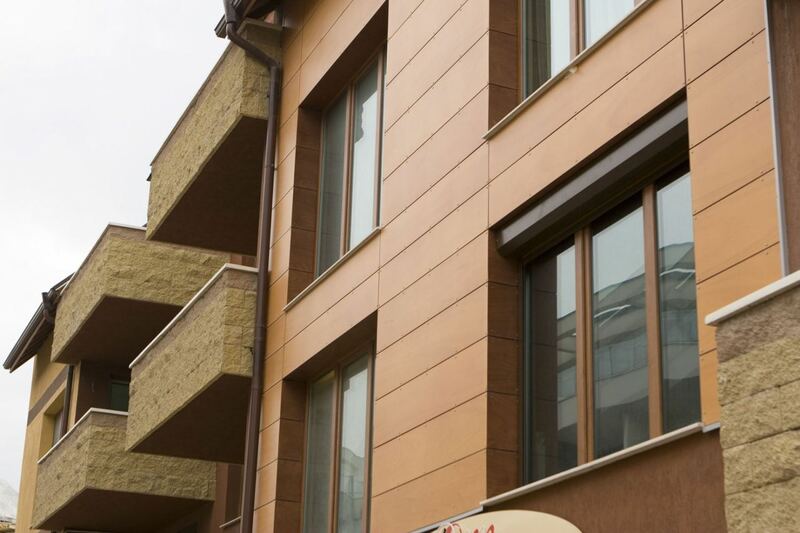 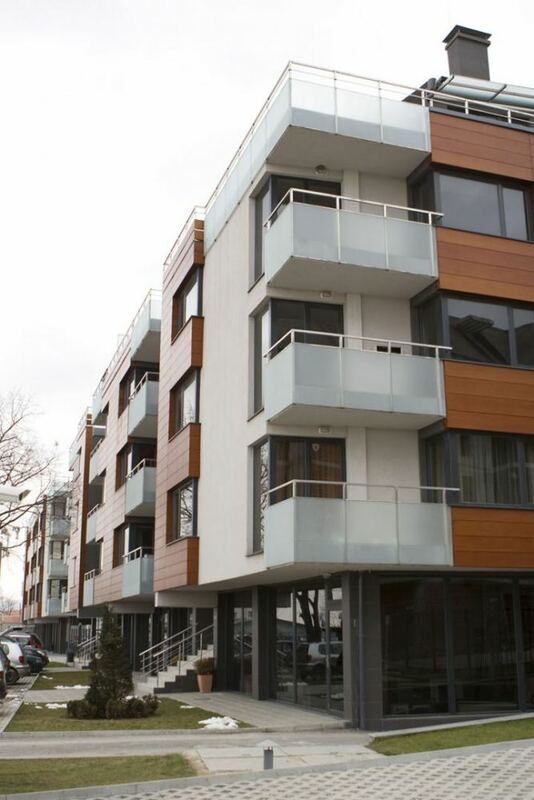 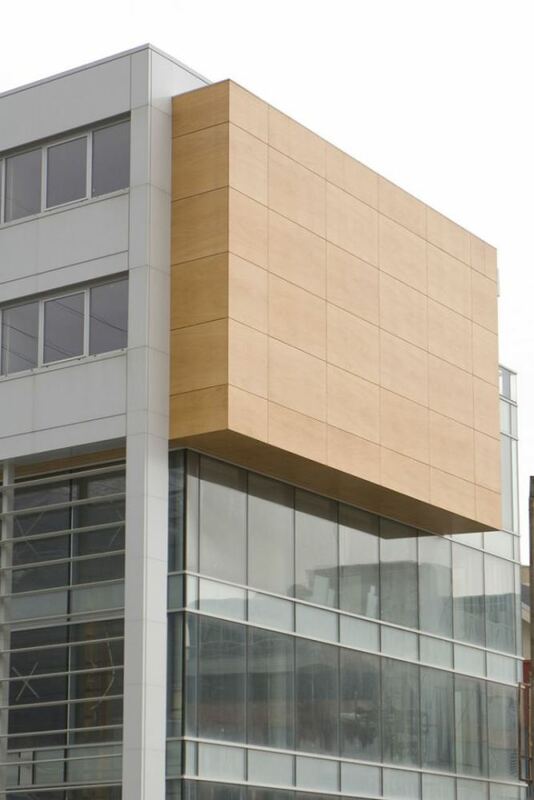 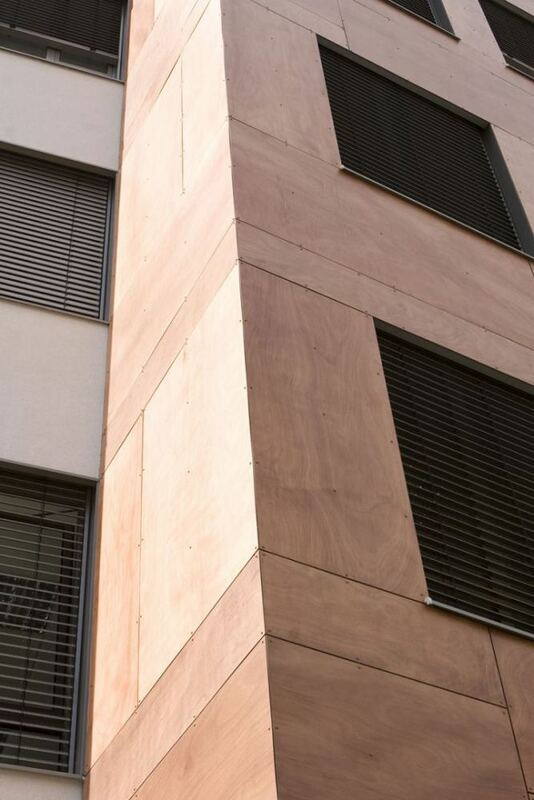 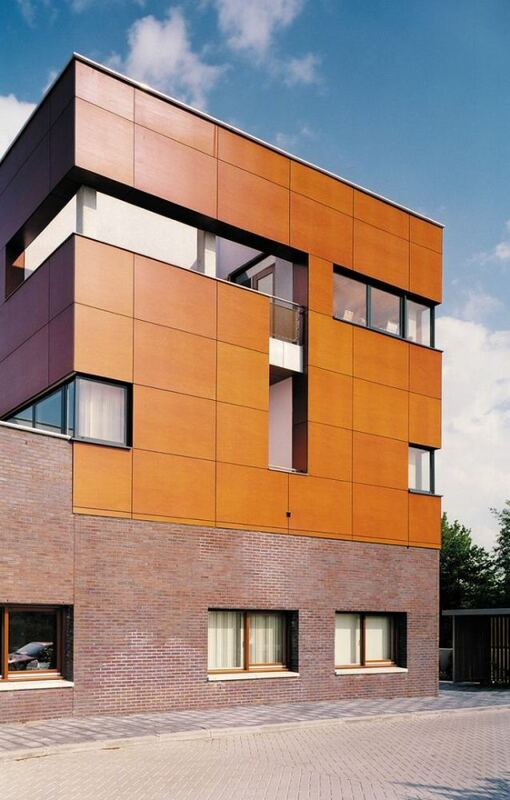 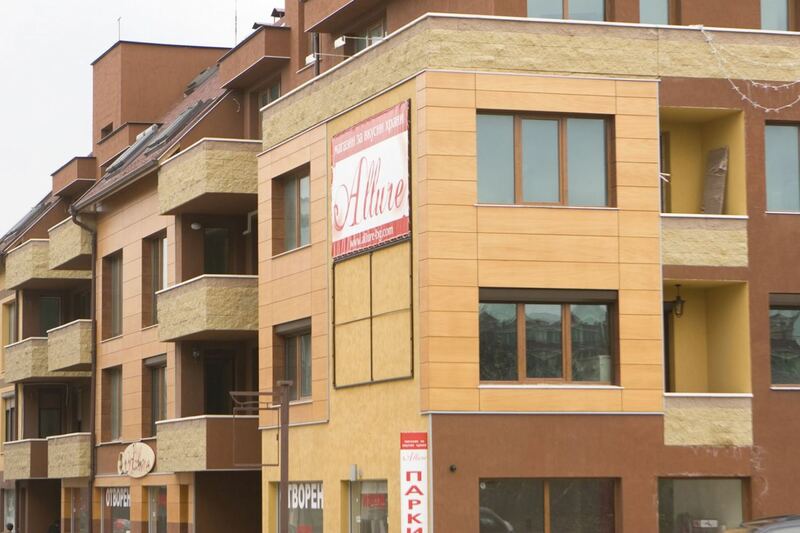 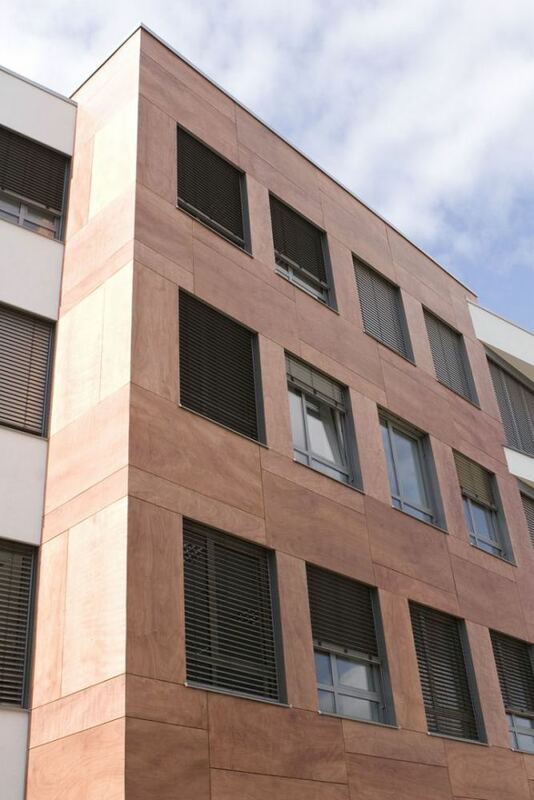 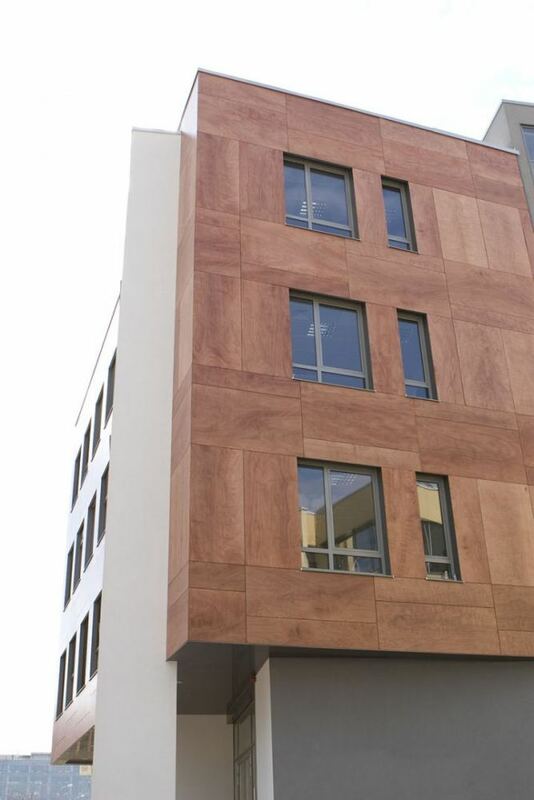 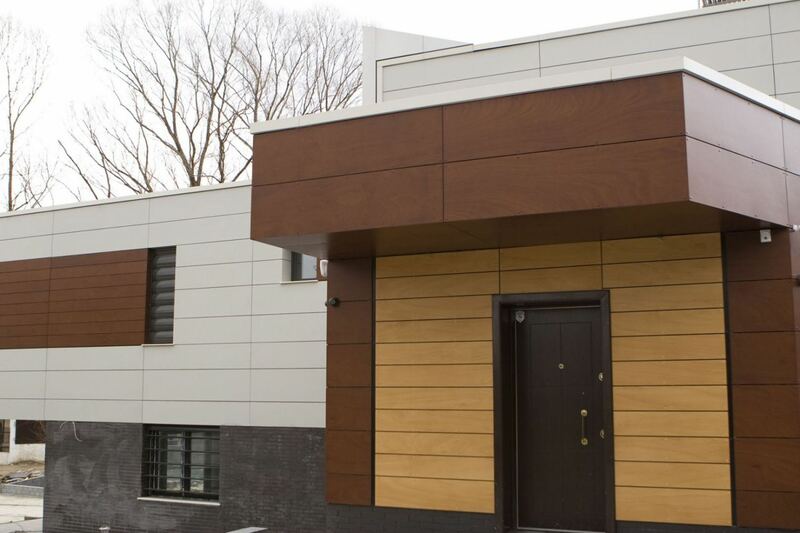 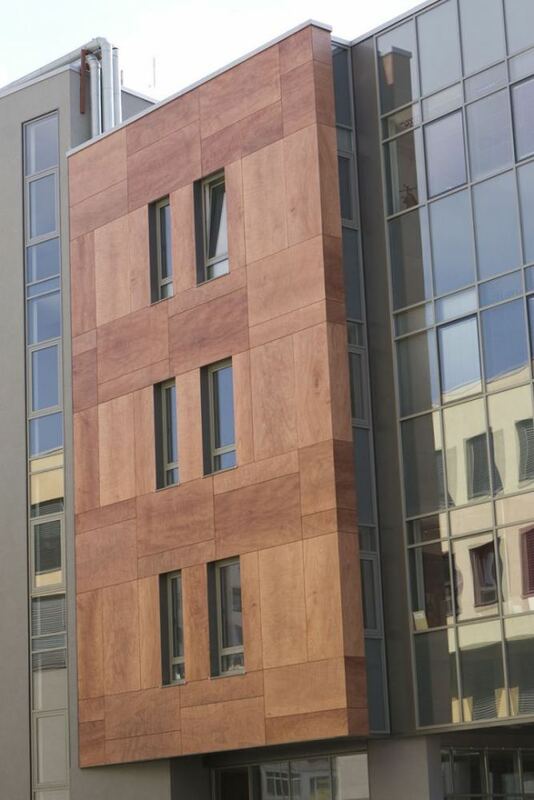 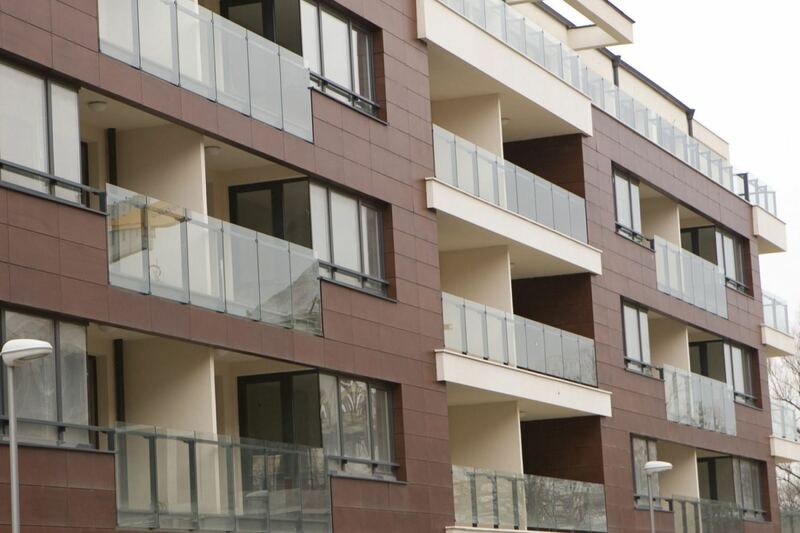 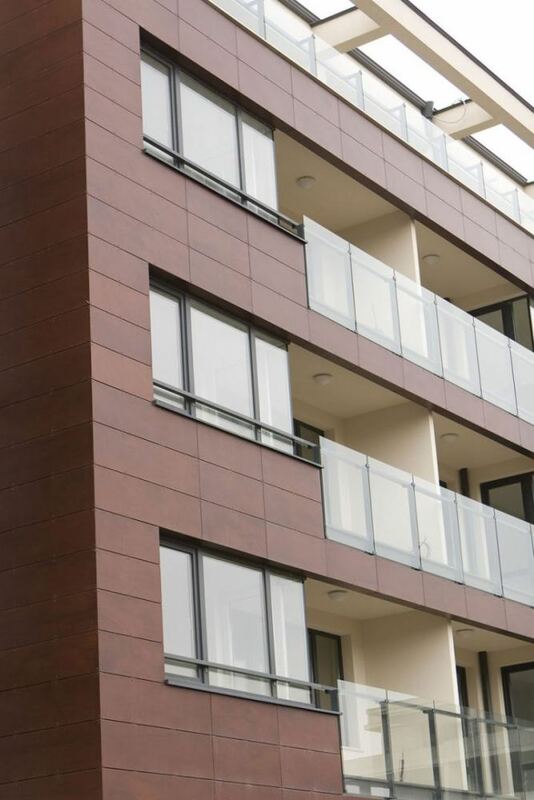 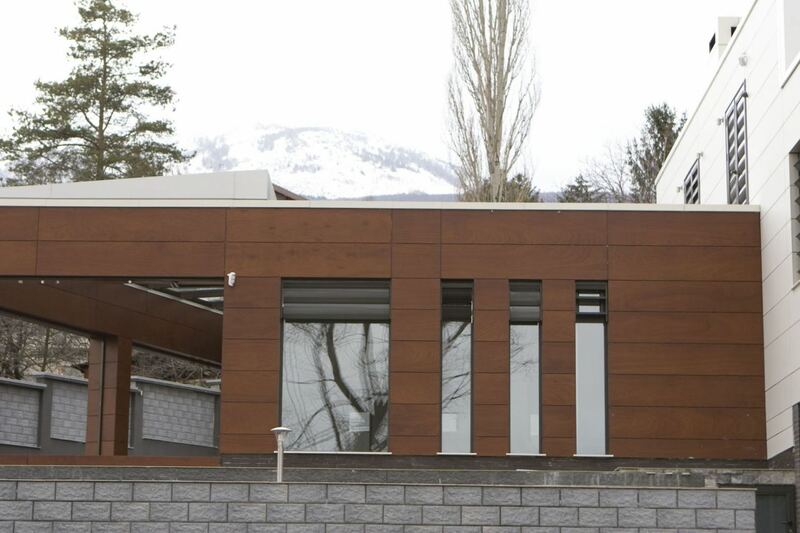 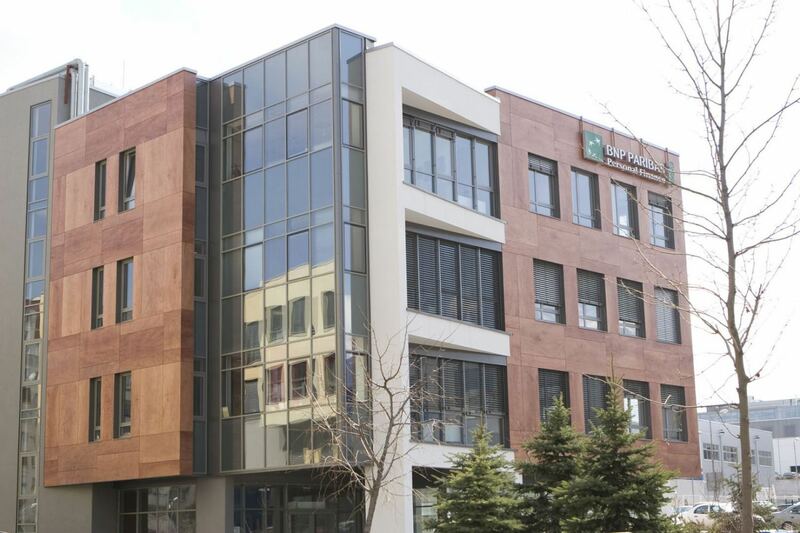 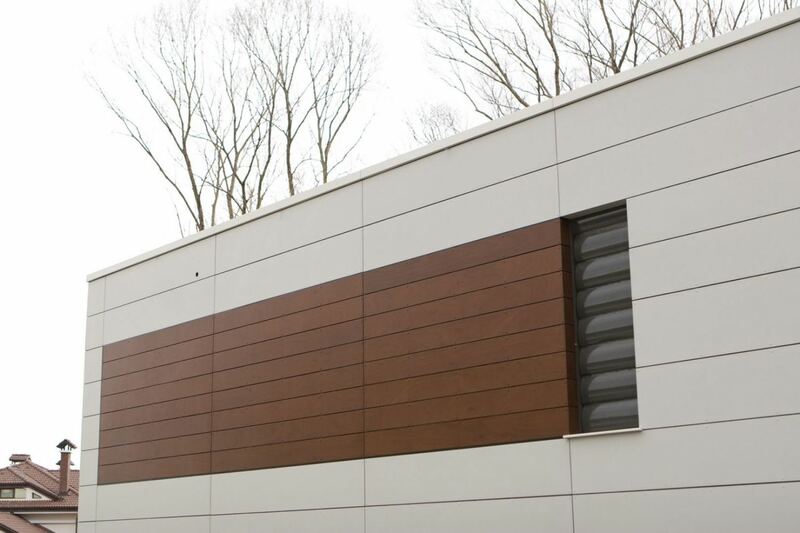 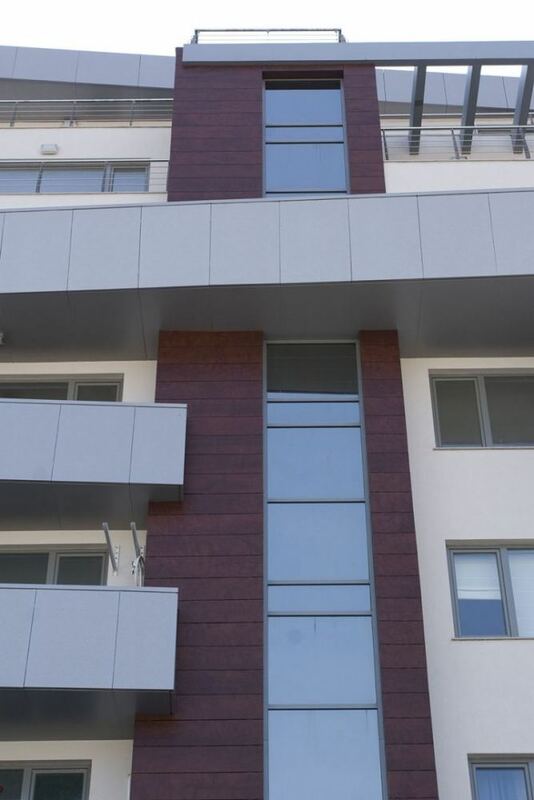 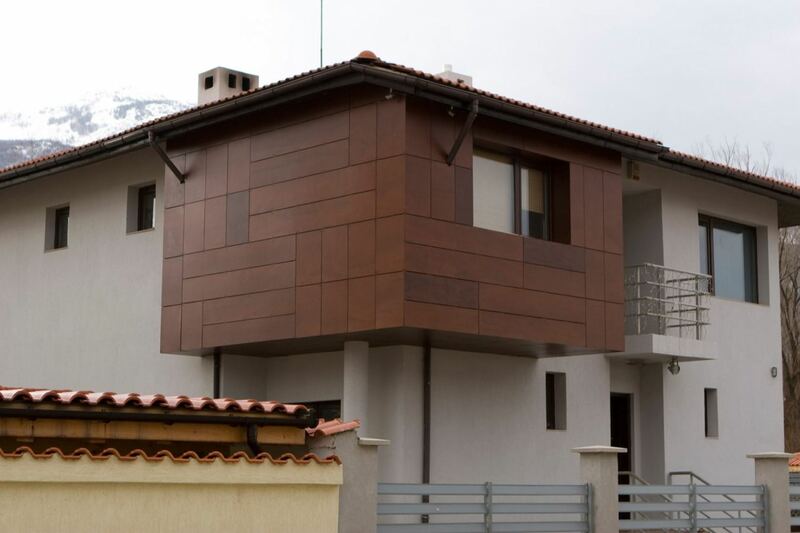 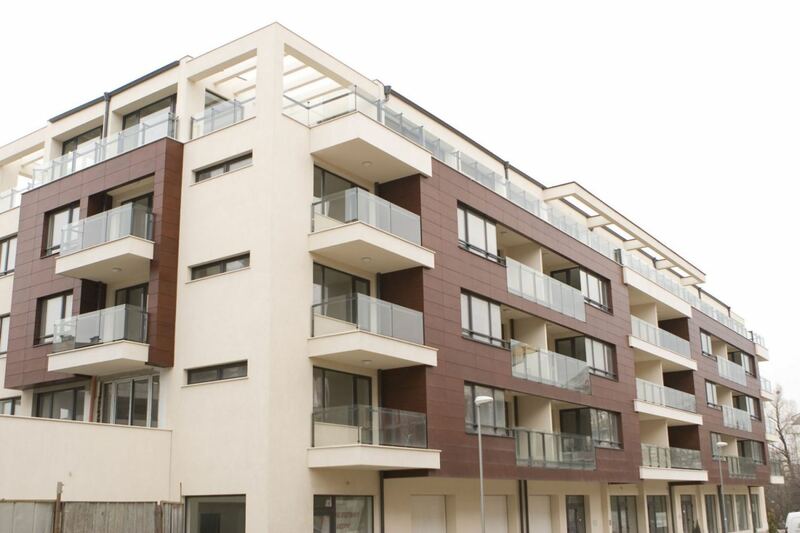 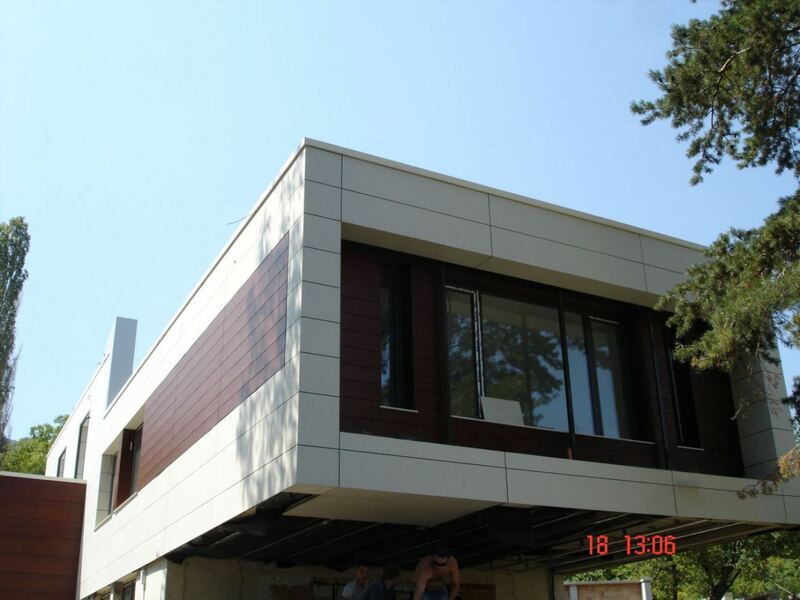 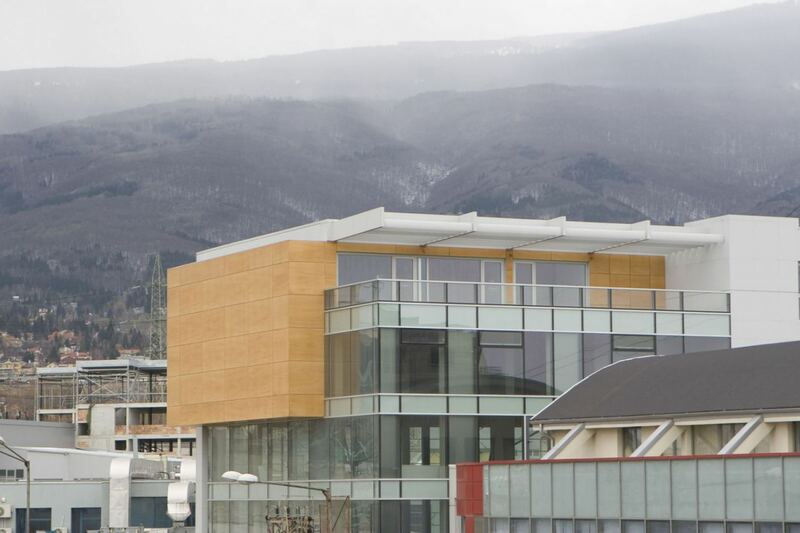 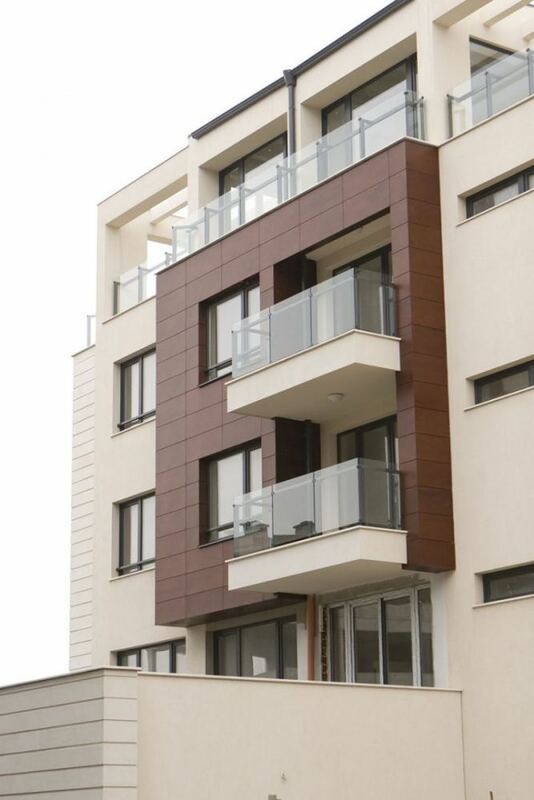 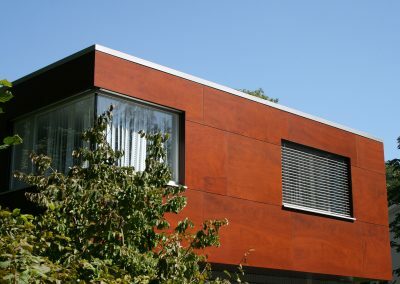 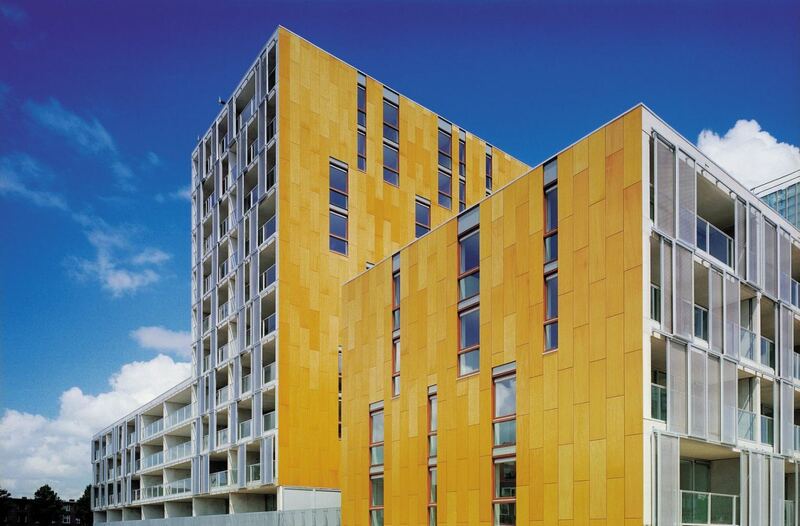 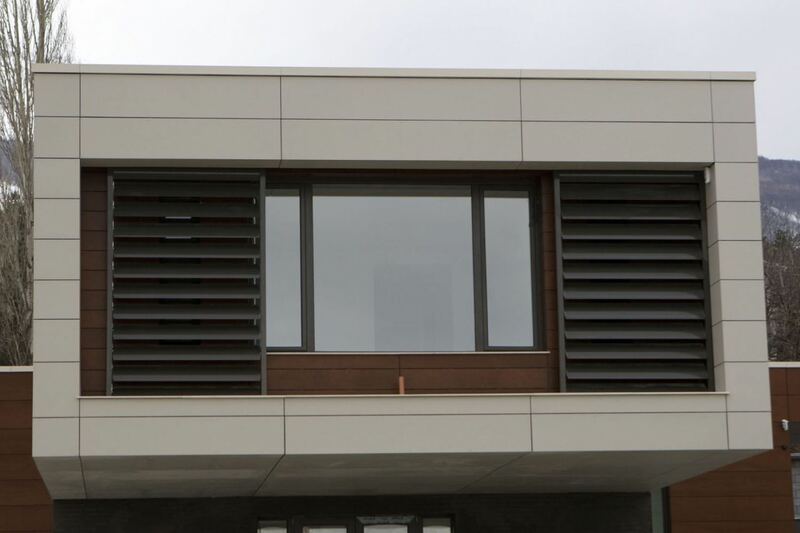 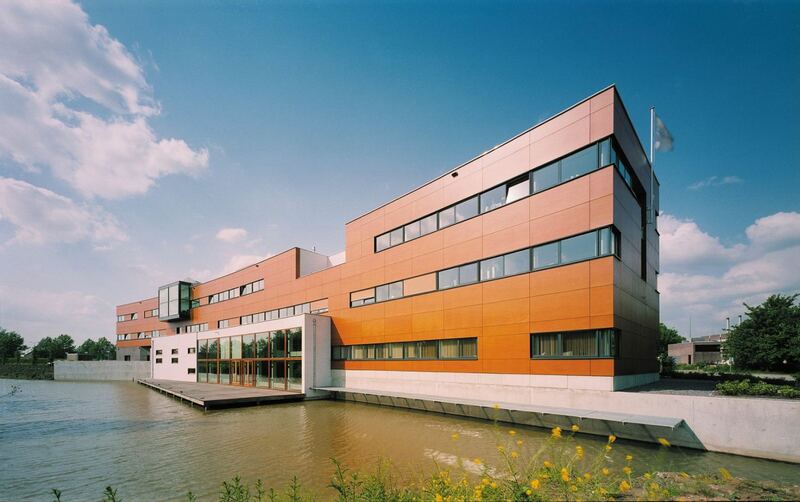 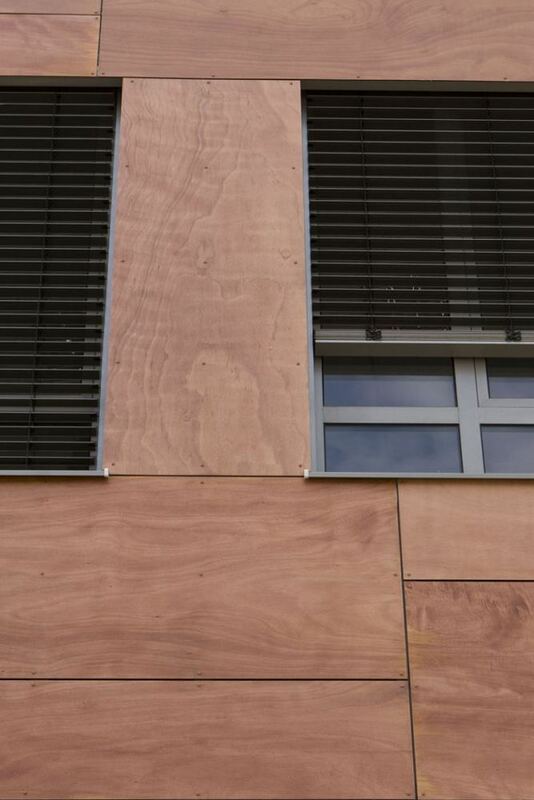 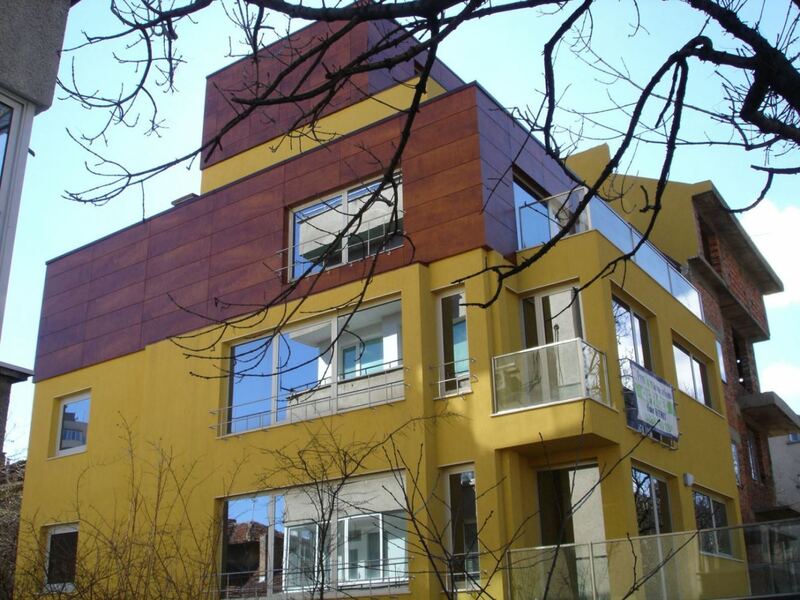 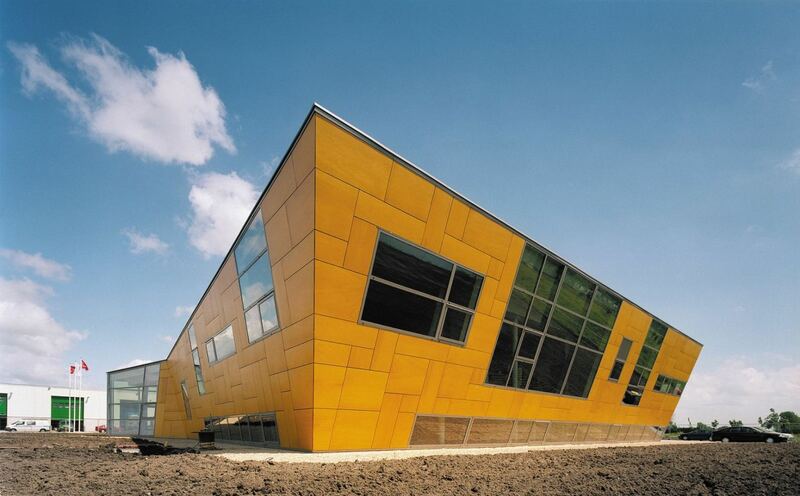 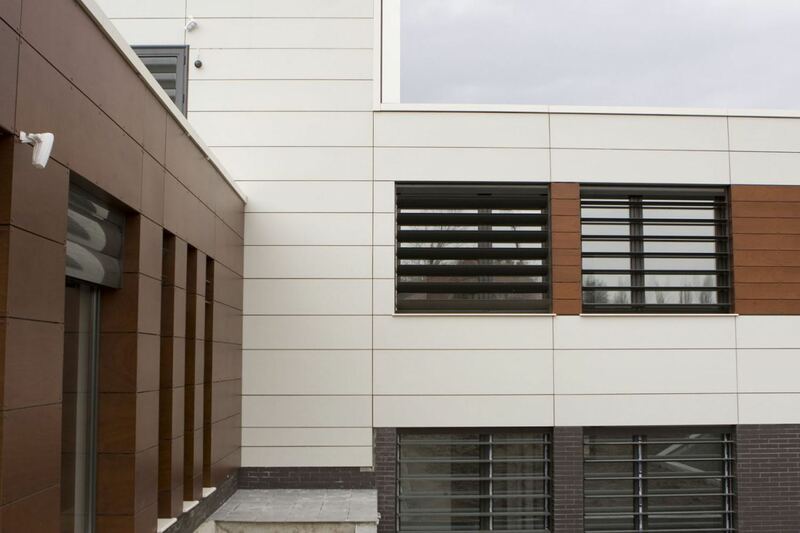 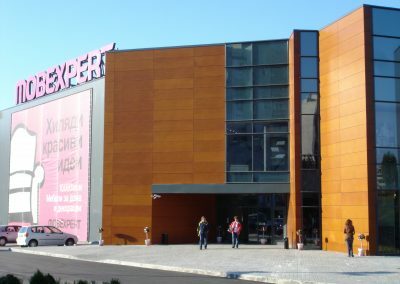 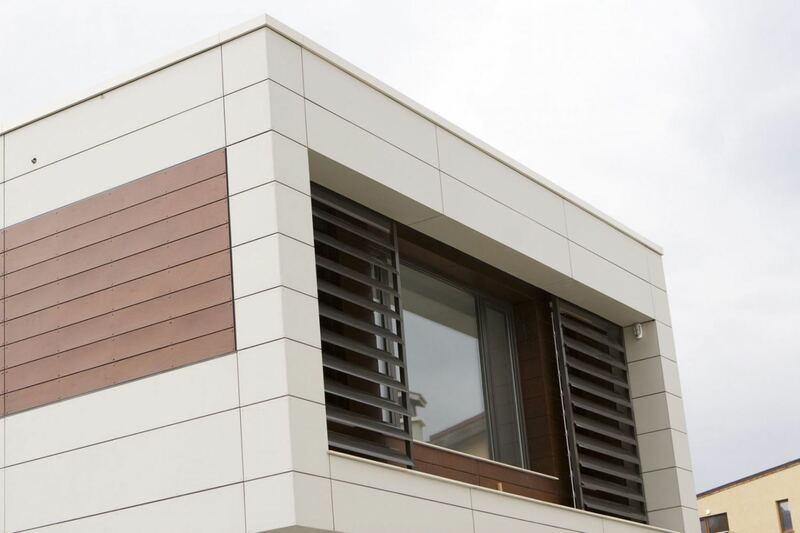 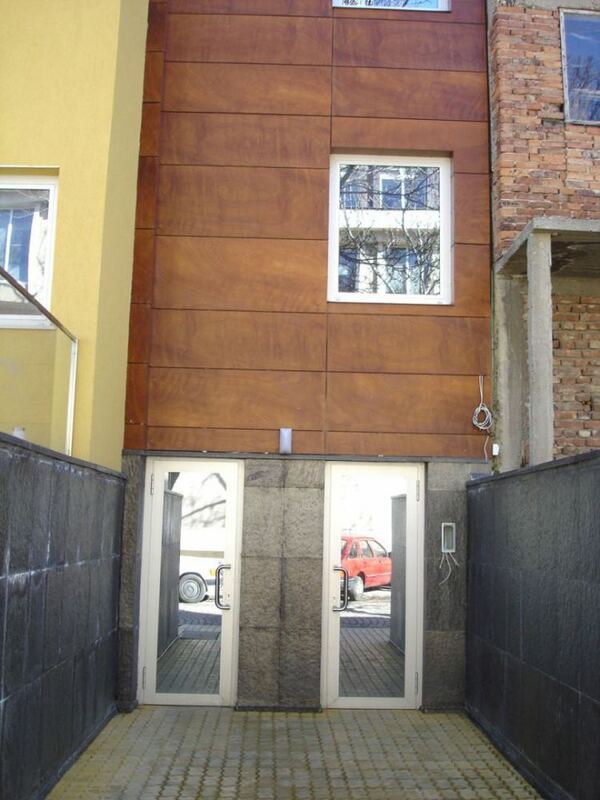 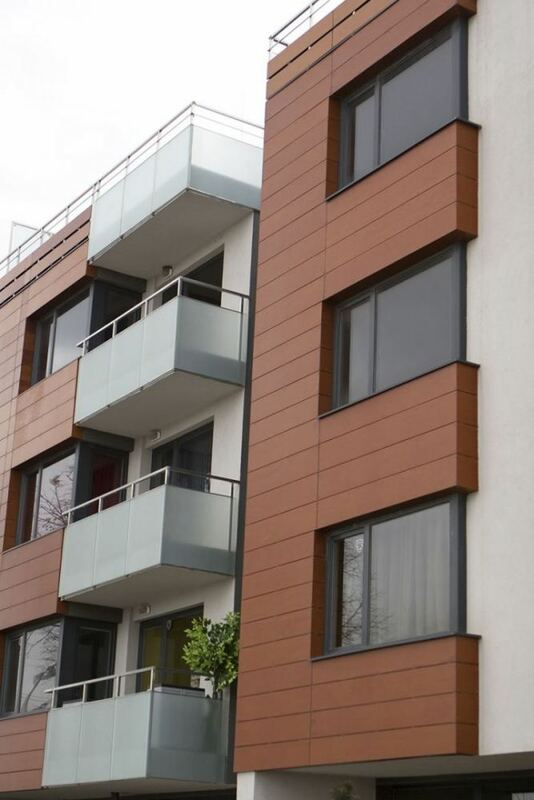 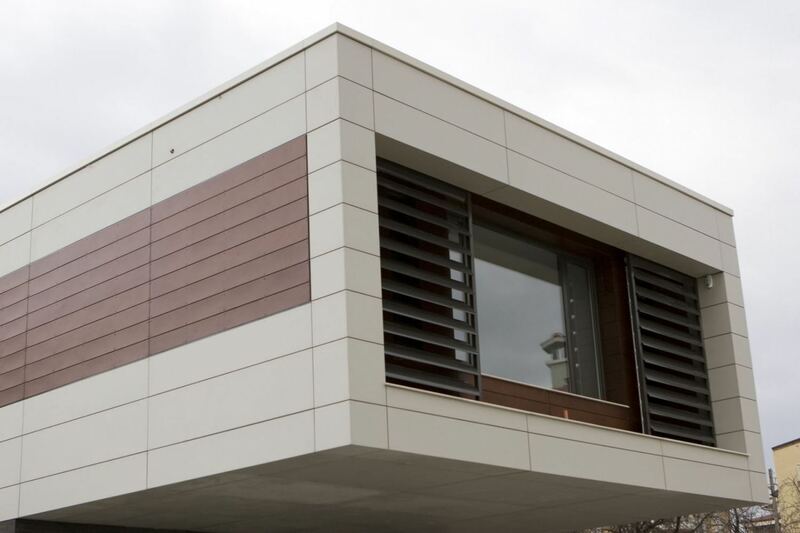 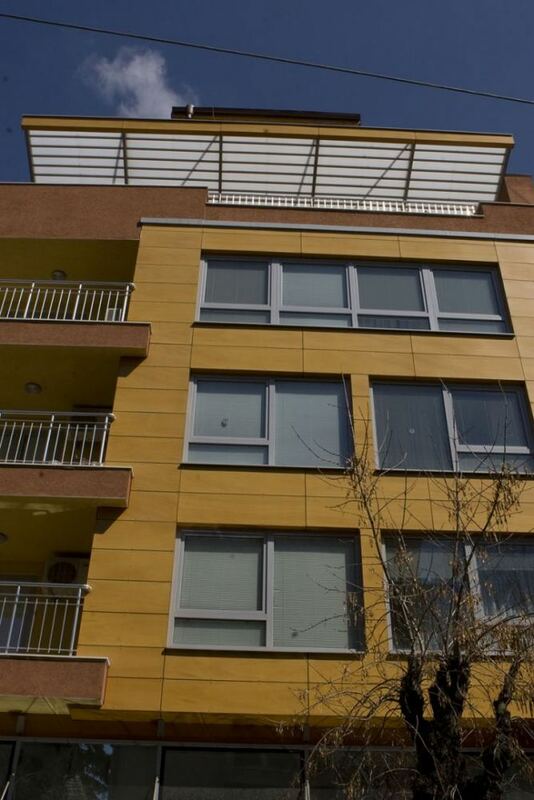 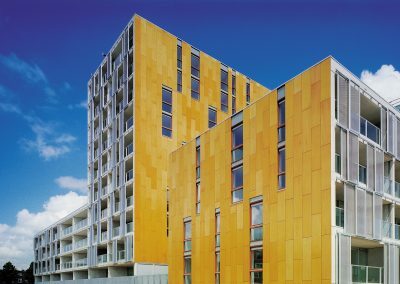 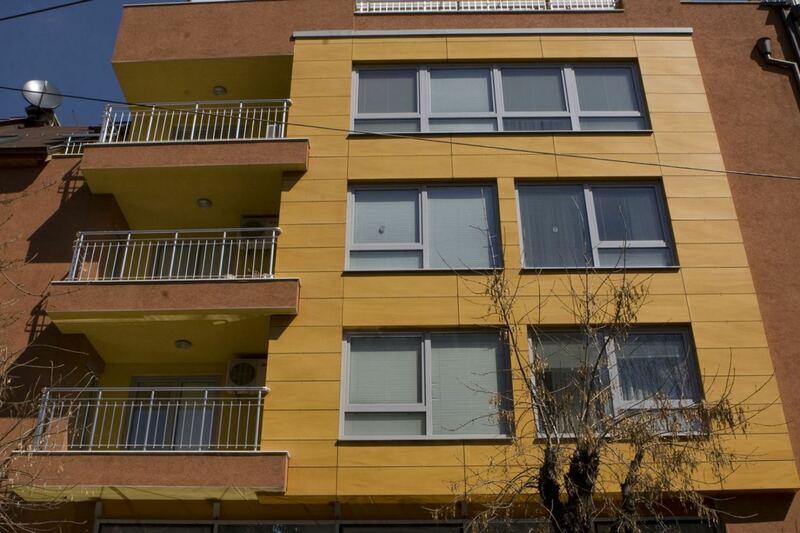 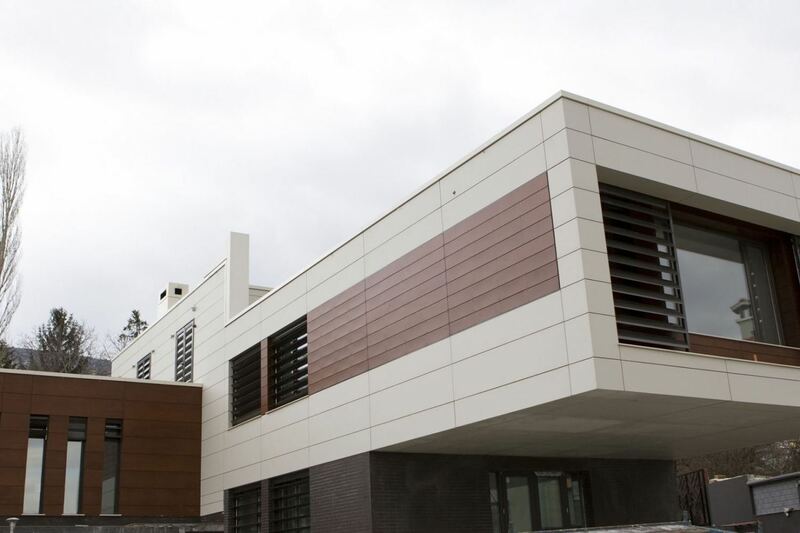 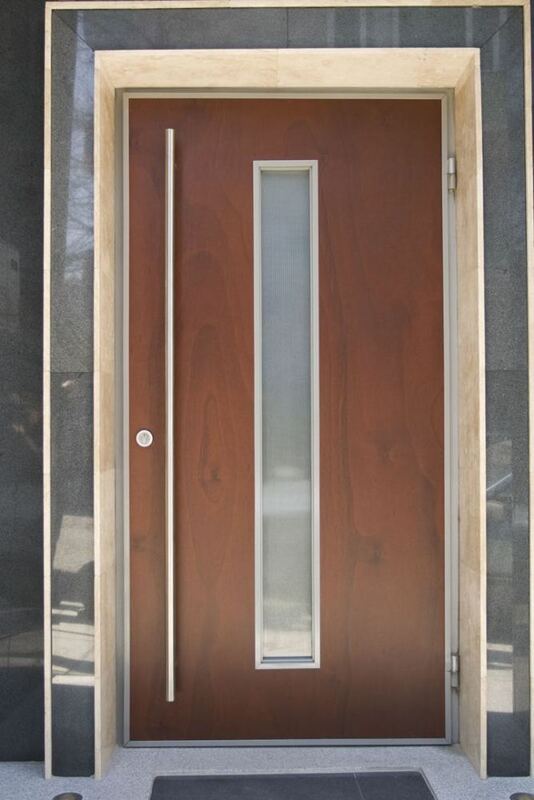 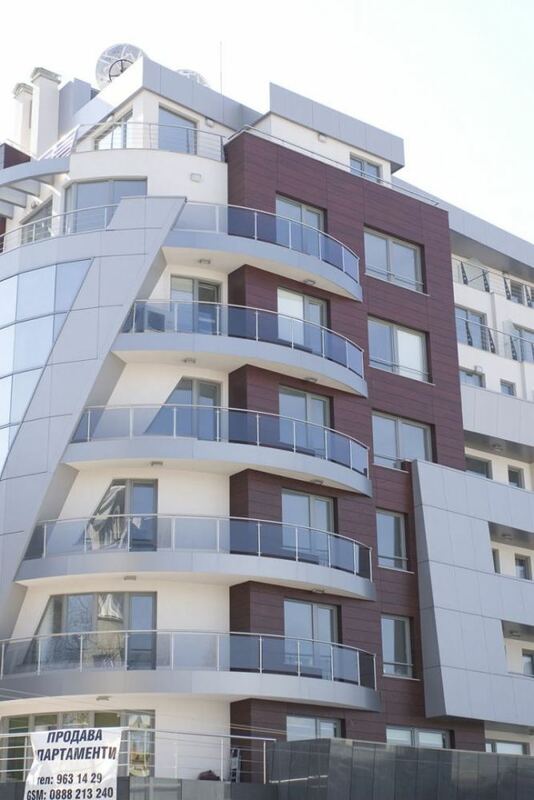 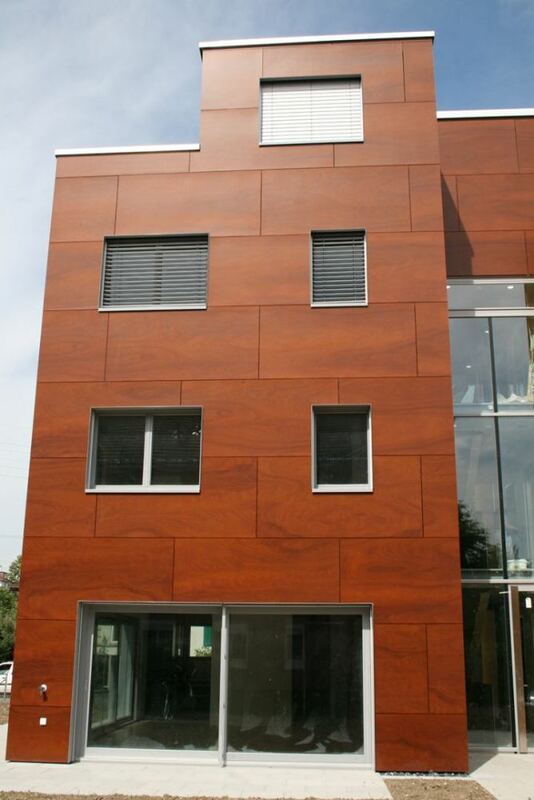 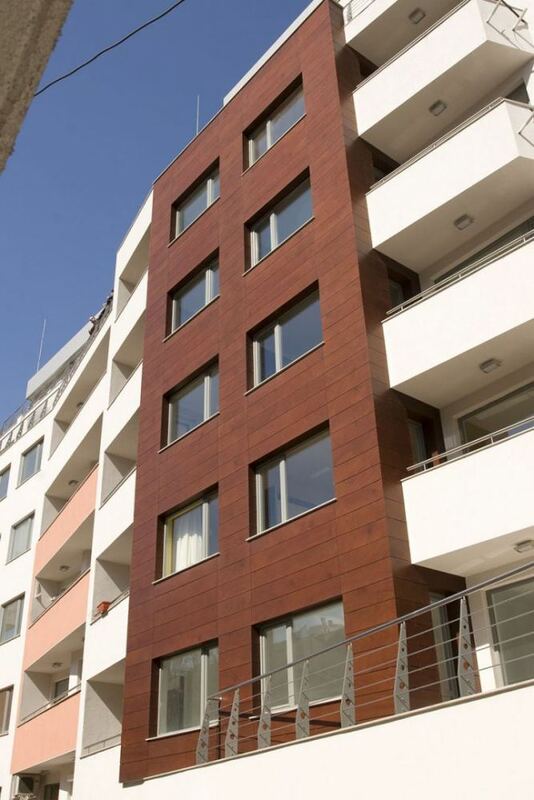 Each panel consists of a high density bakelite core, clad in a veneer of natural wood with a surface treated with synthetic resin and an exterior PVDF film, which lends greater durability to the panels, with anti-adherent properties, to protect the panel from solar radiation, atmospheric agents, dirt and the attacks of chemical products (anti-graffiti). 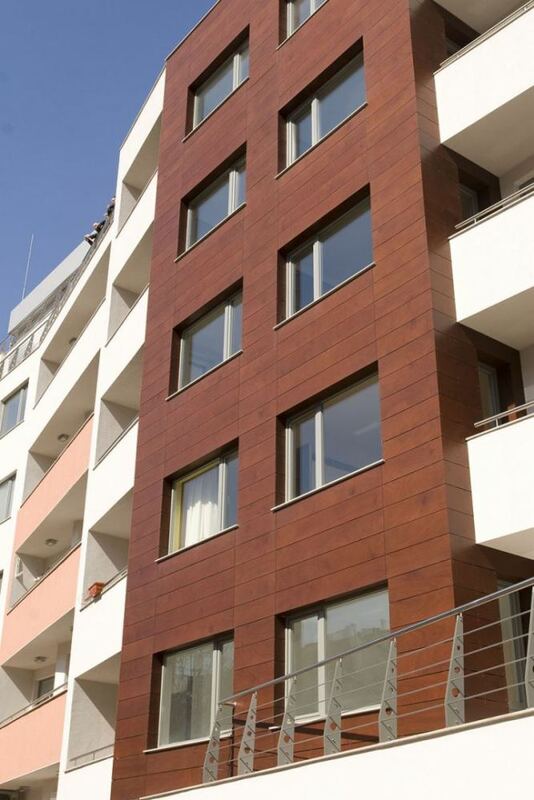 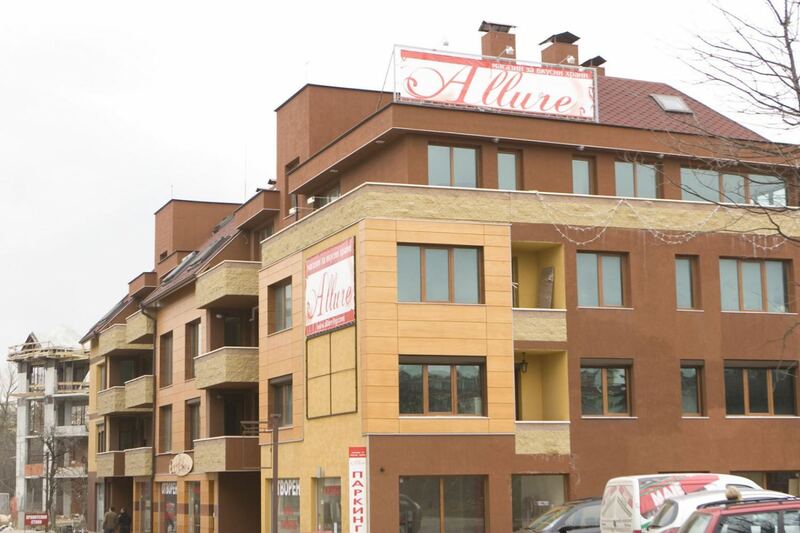 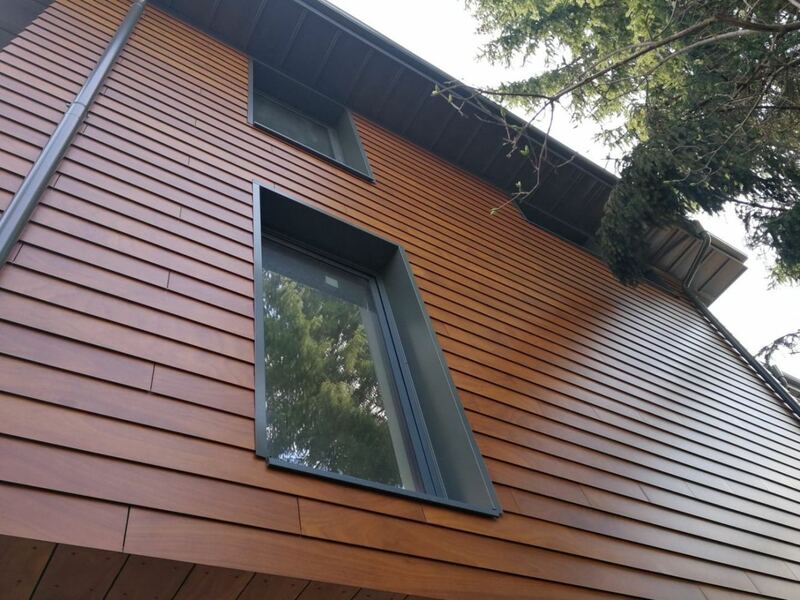 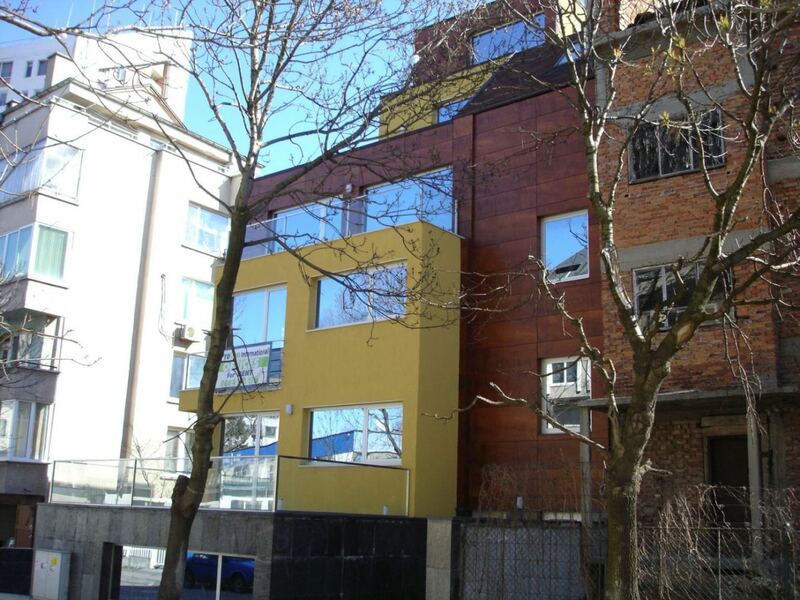 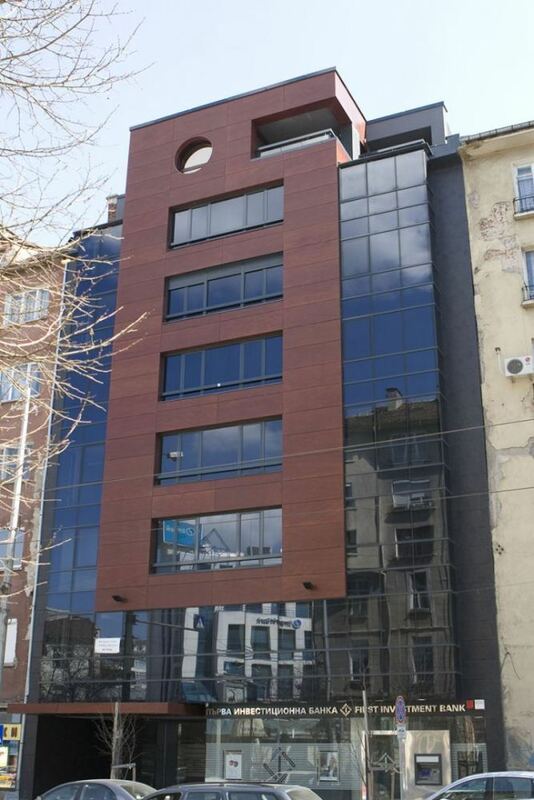 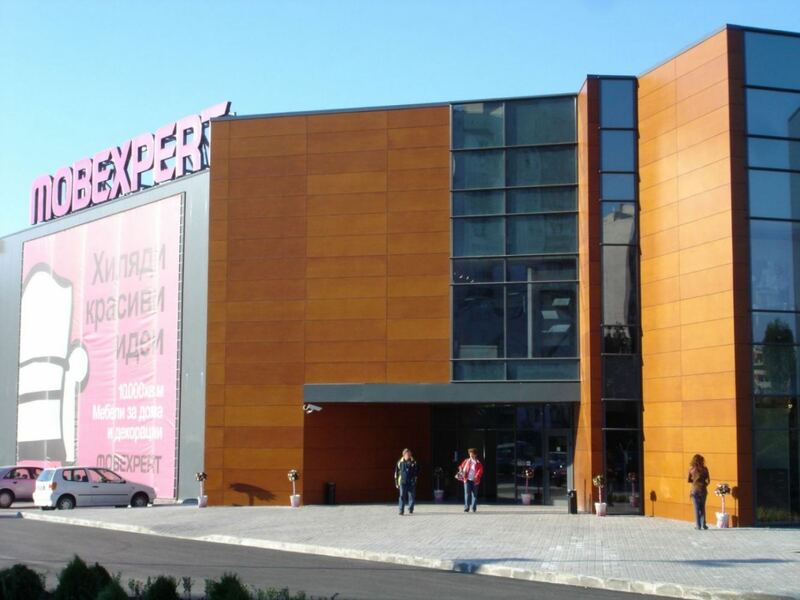 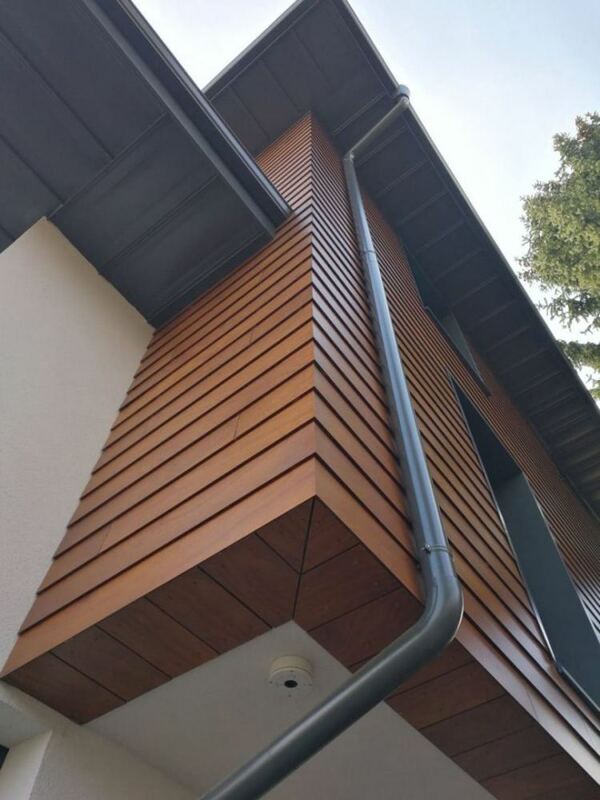 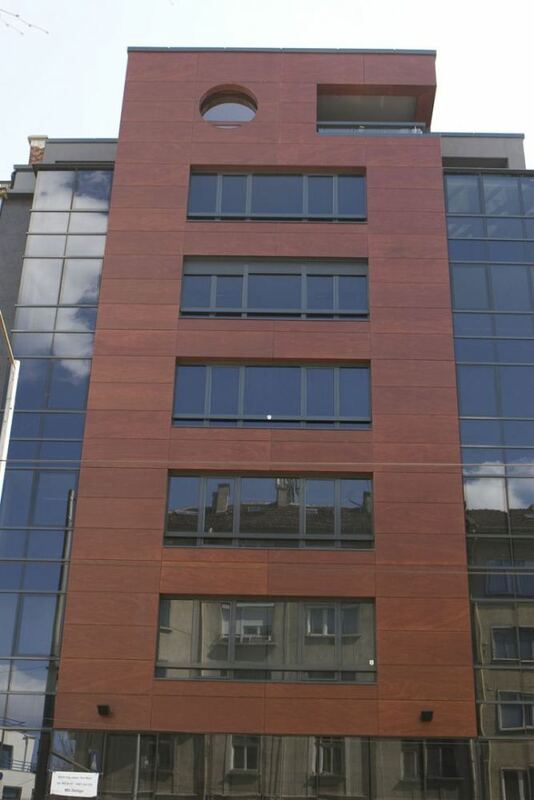 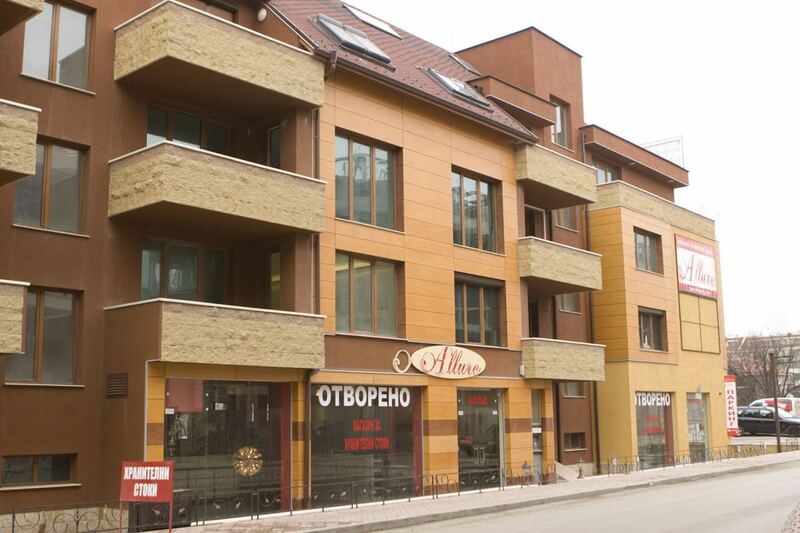 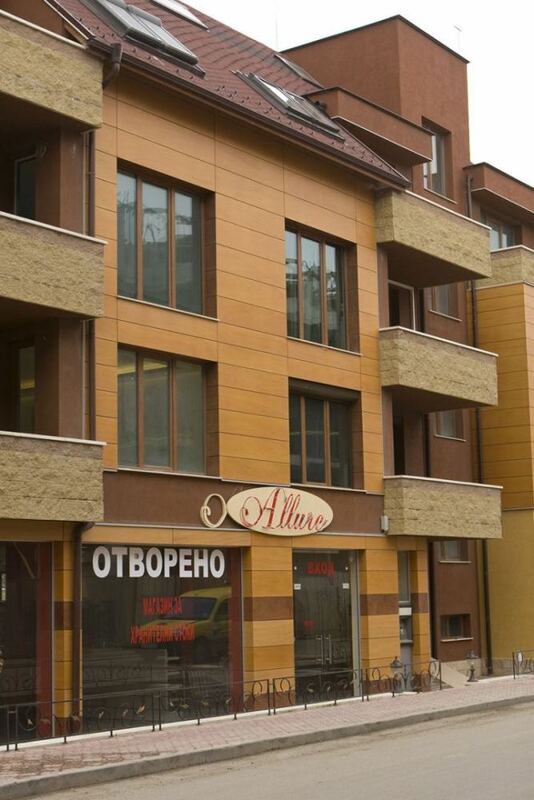 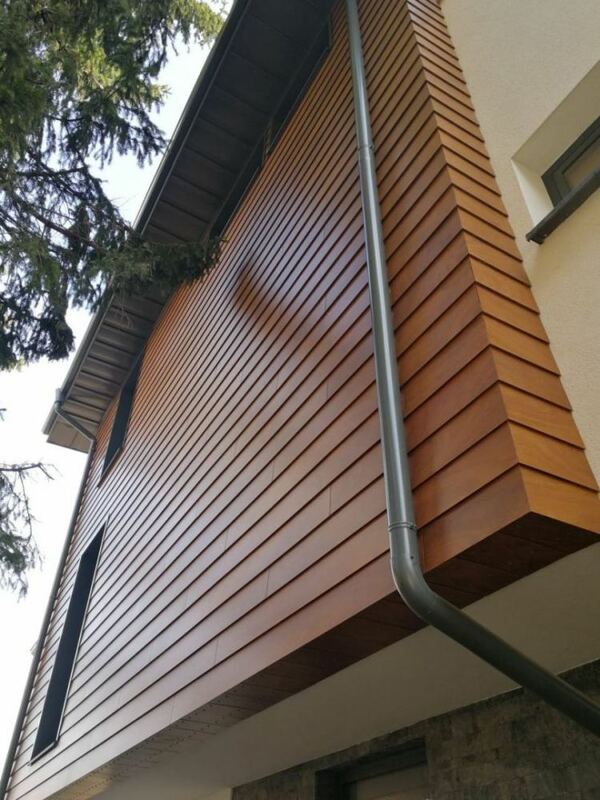 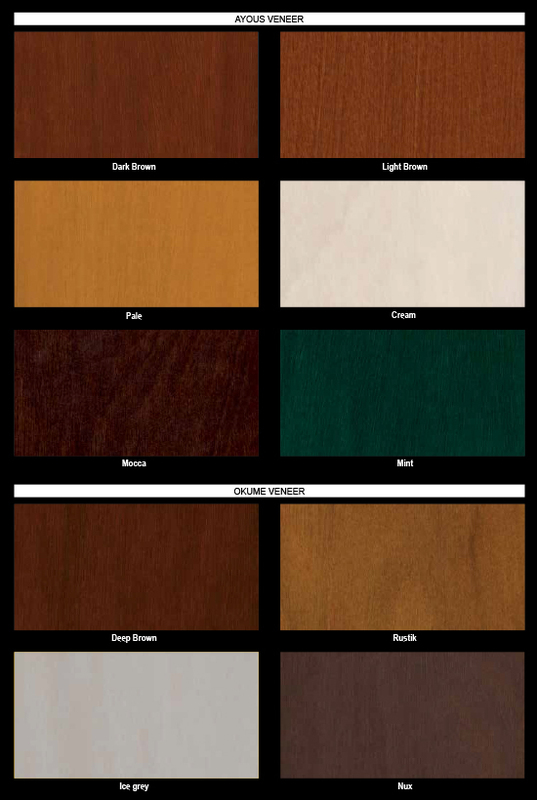 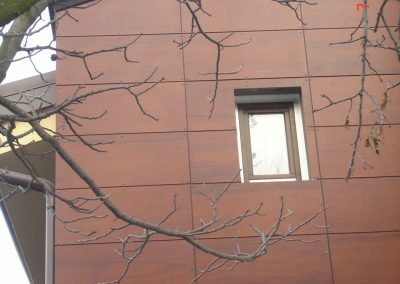 Due to its high resistance, it does not require the typical maintenance of other woods for exteriors.